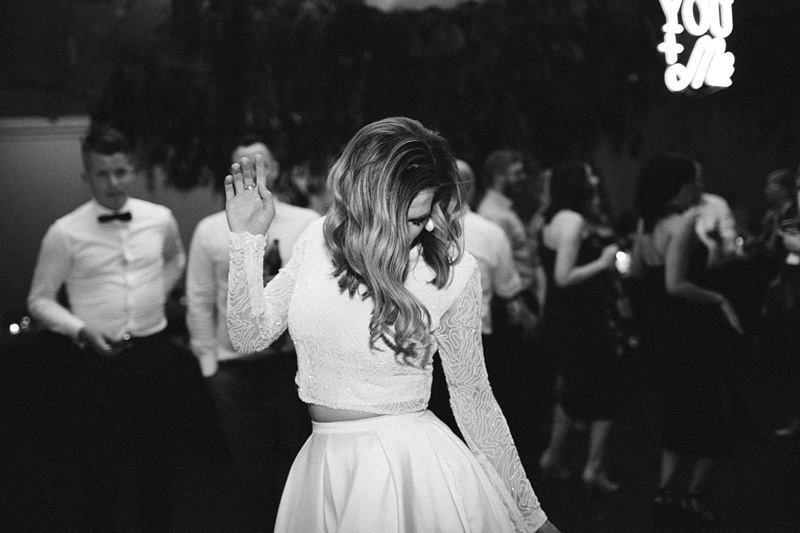 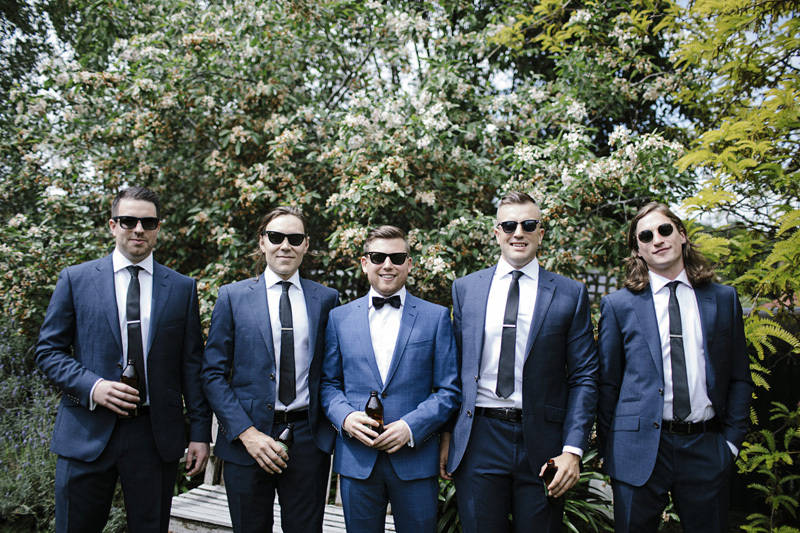 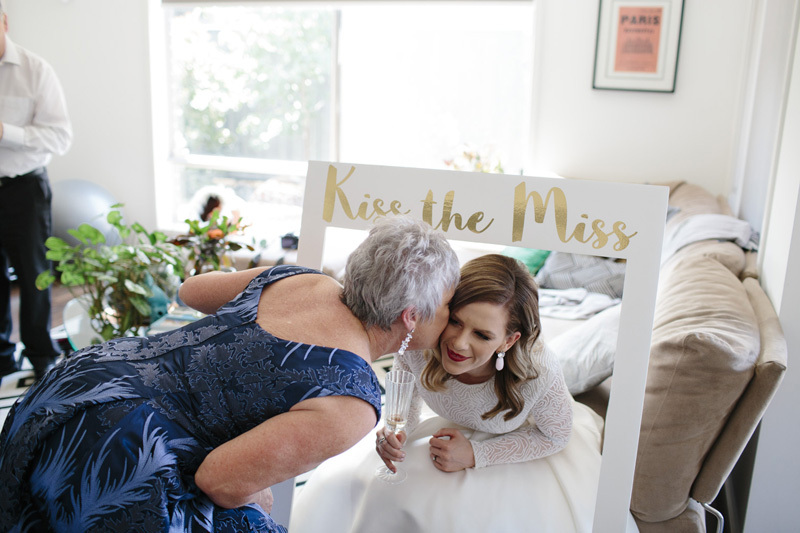 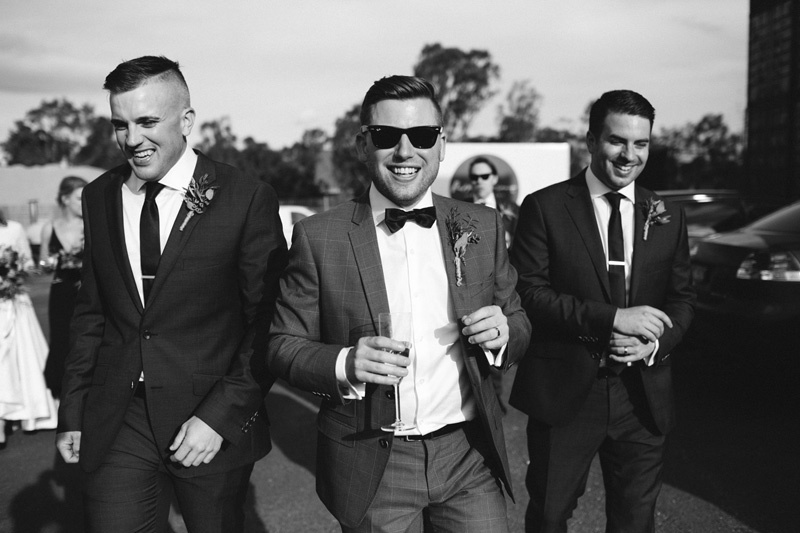 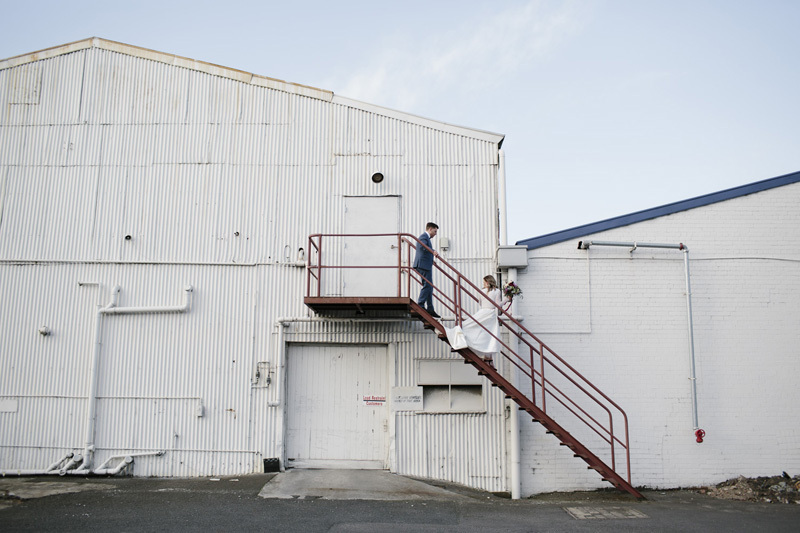 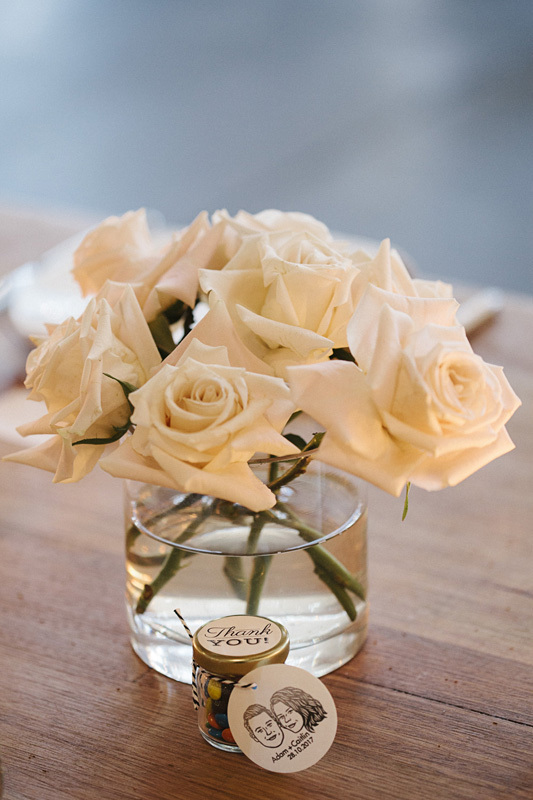 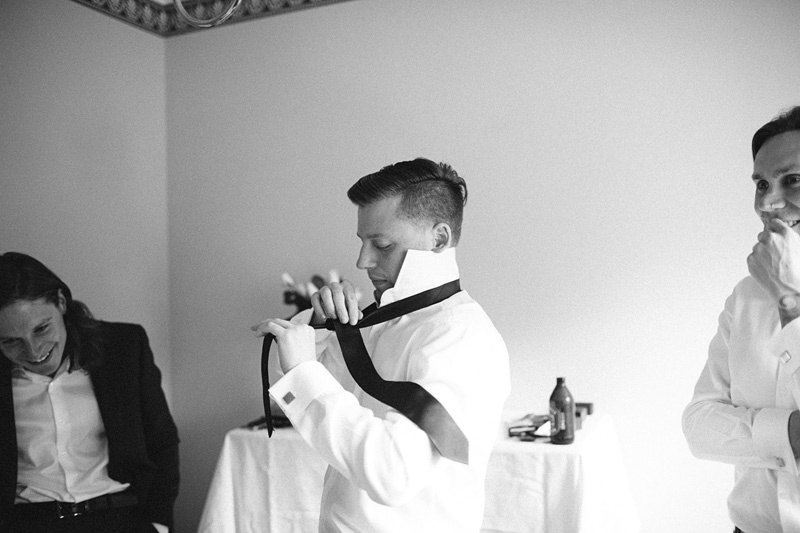 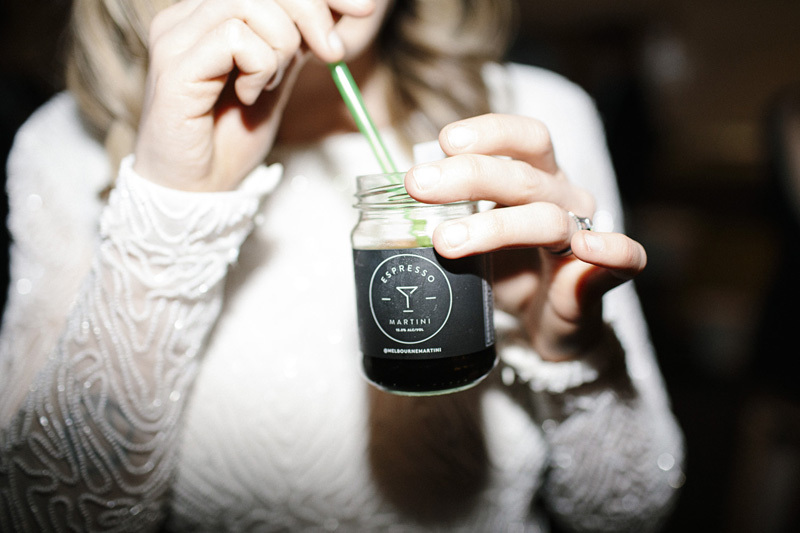 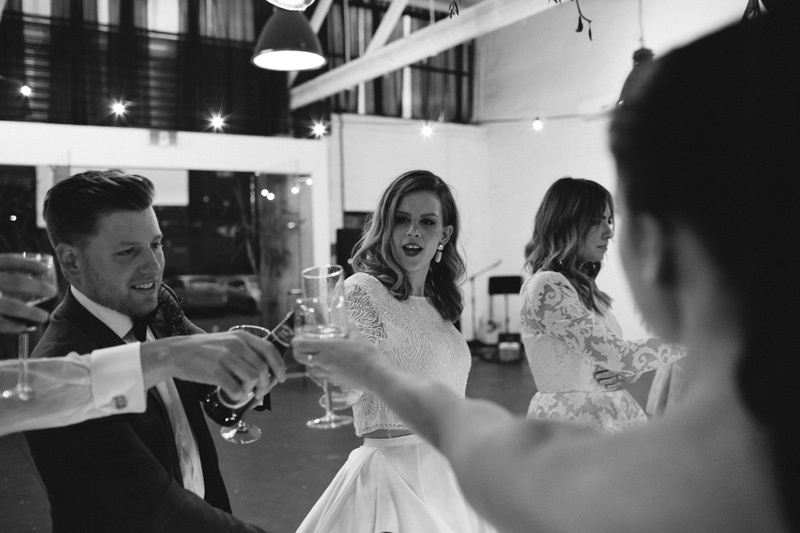 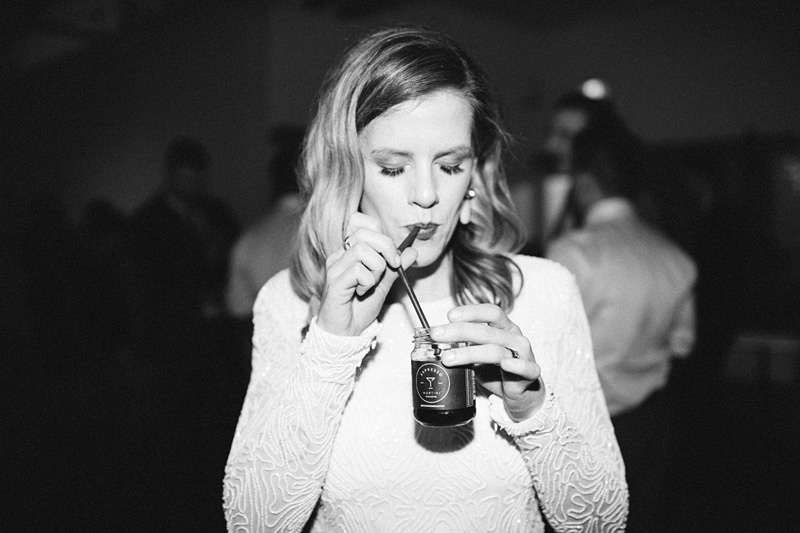 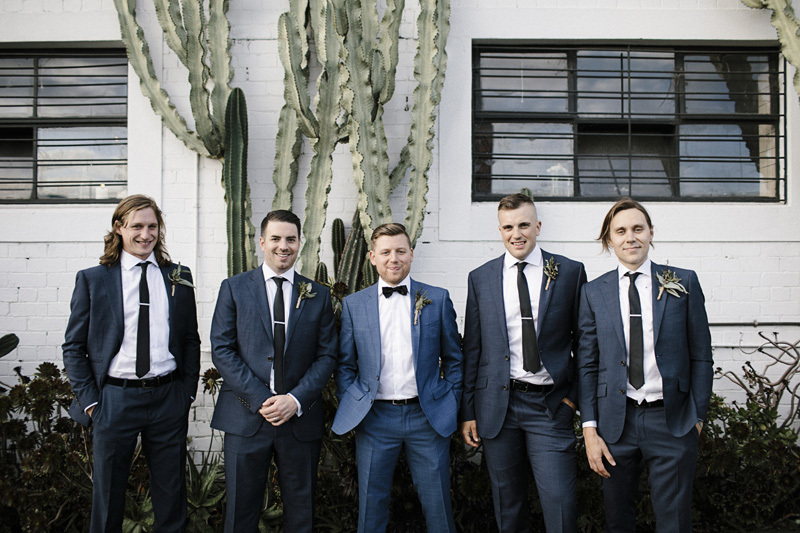 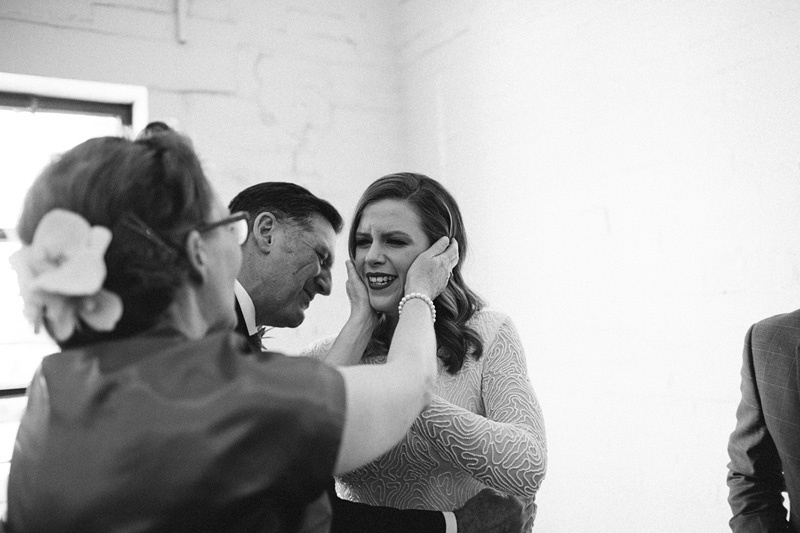 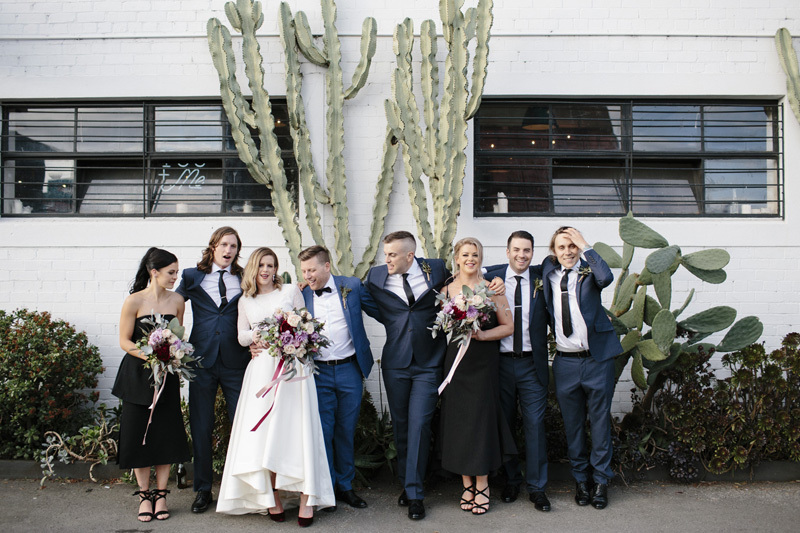 Adam and Caitlin’s wedding was industrial, non-traditional and a whole lotta’ fun! 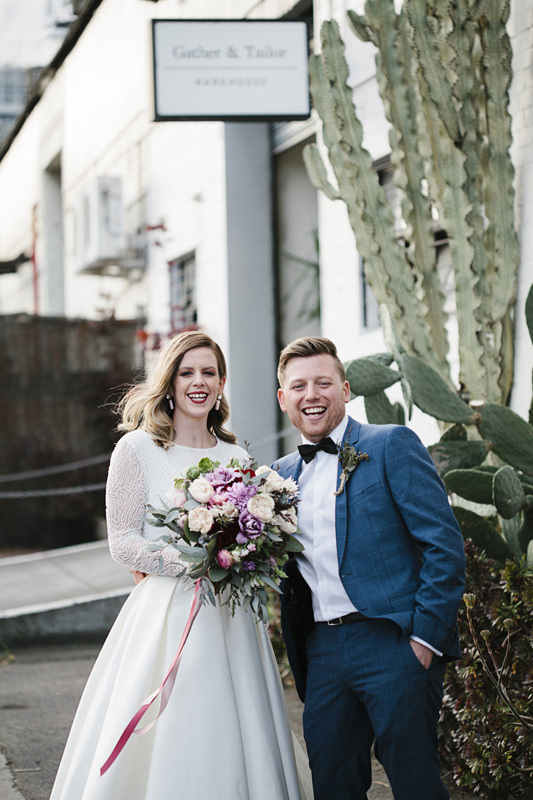 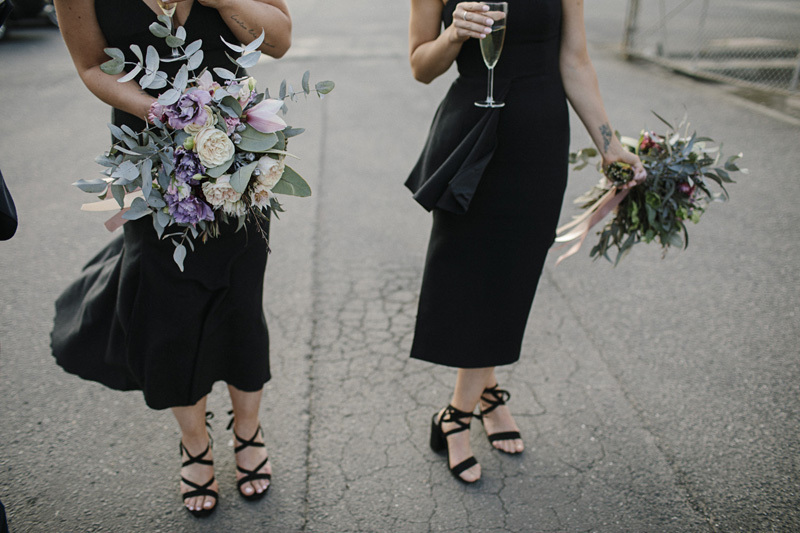 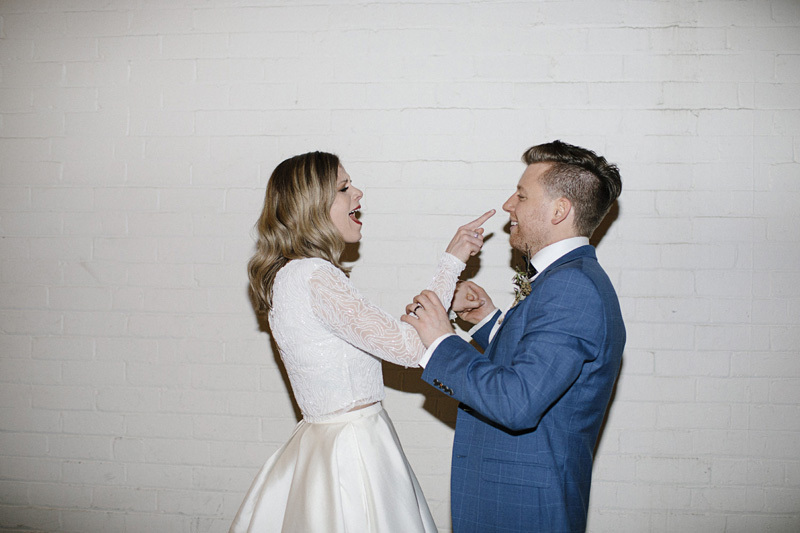 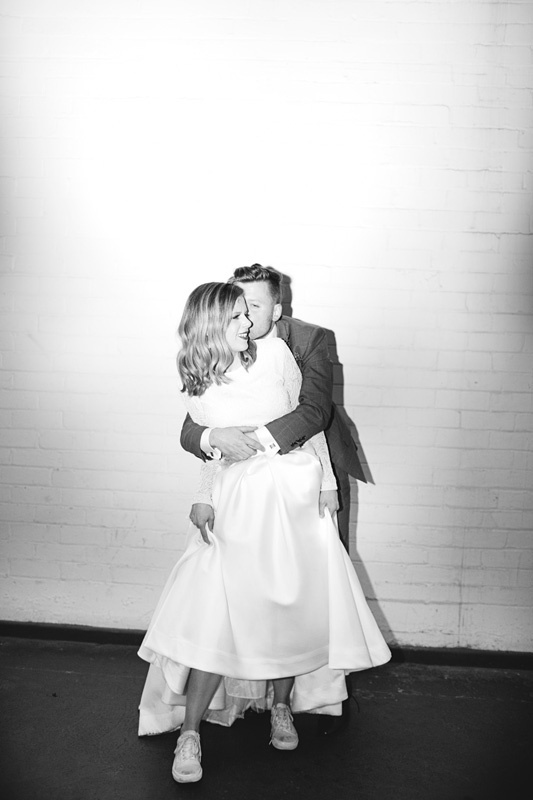 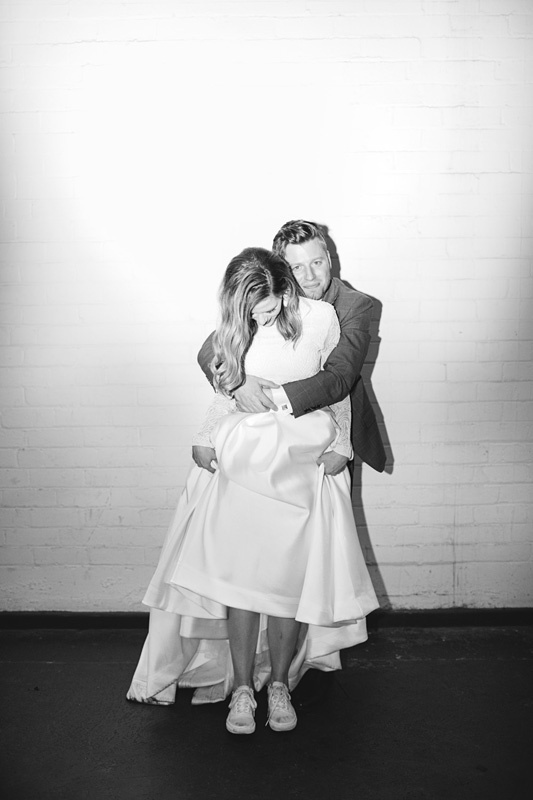 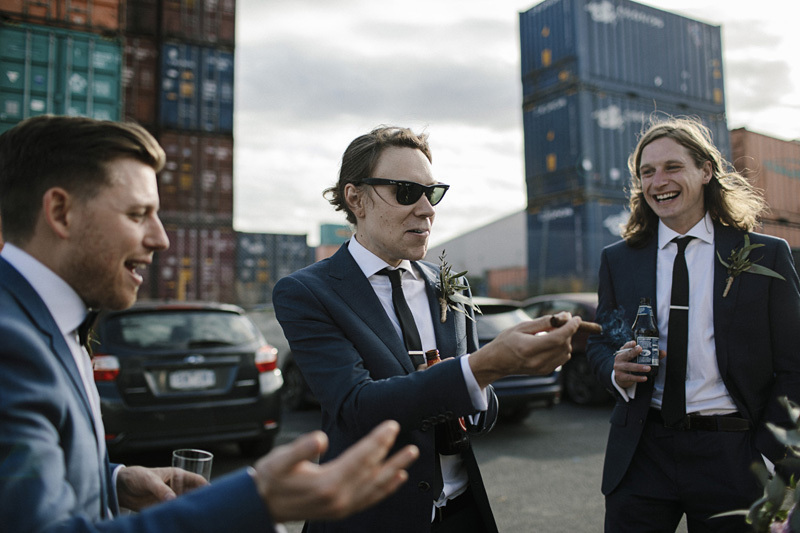 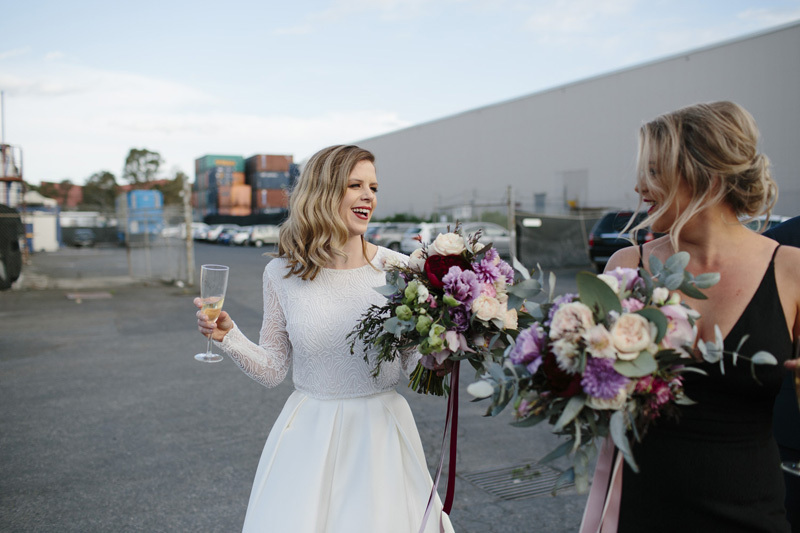 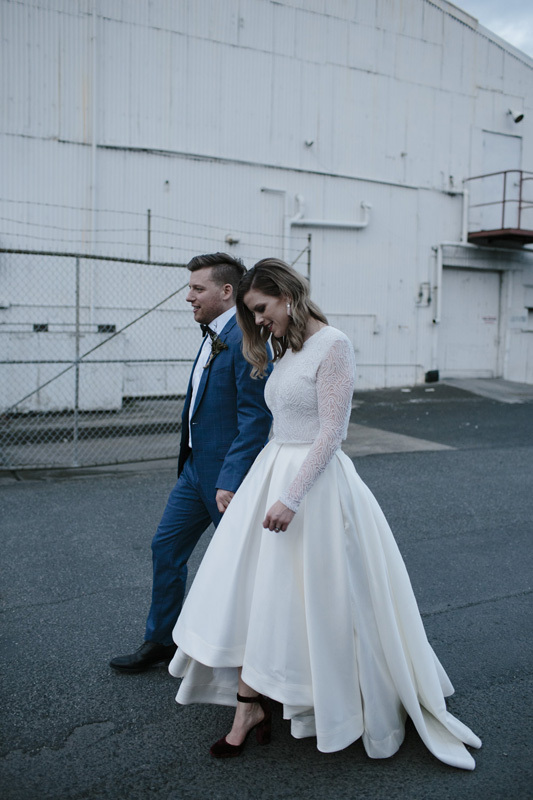 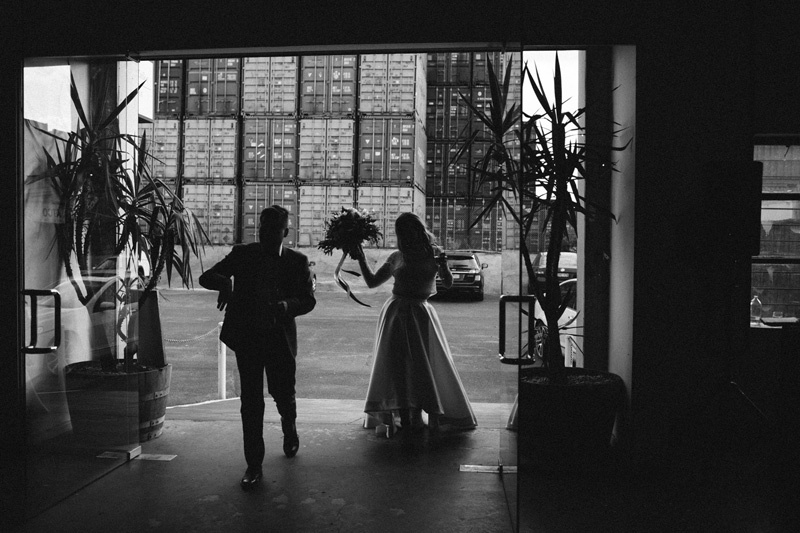 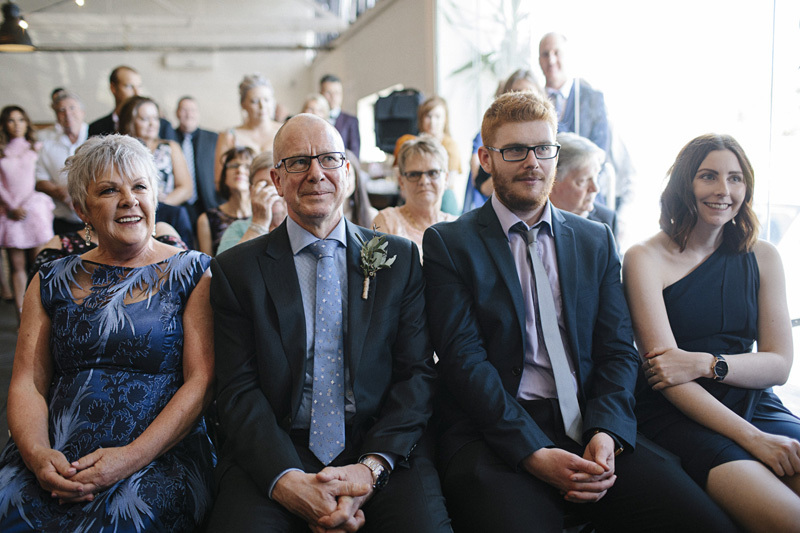 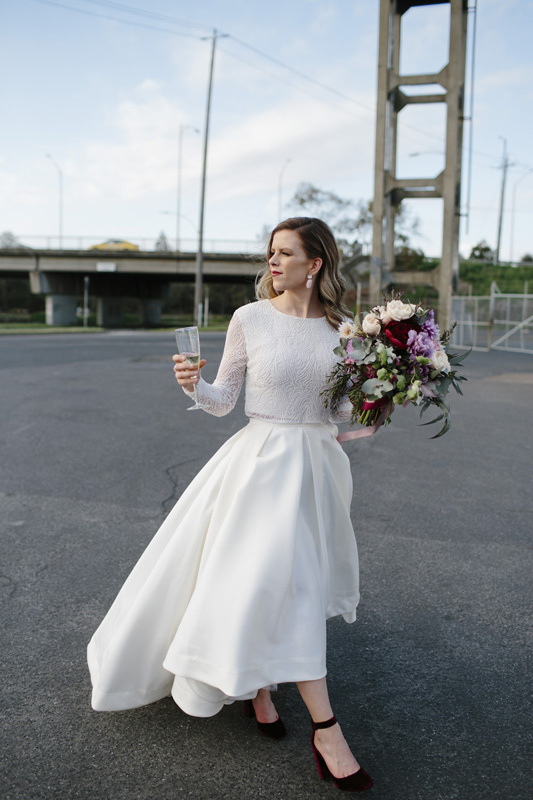 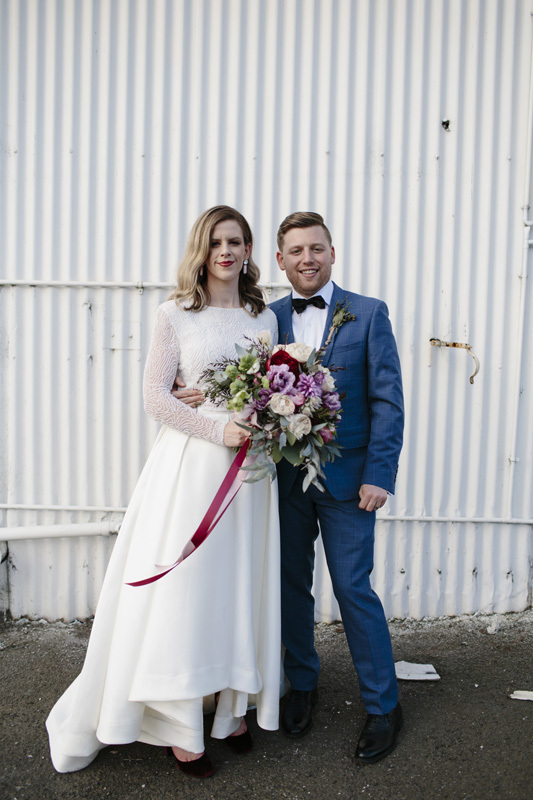 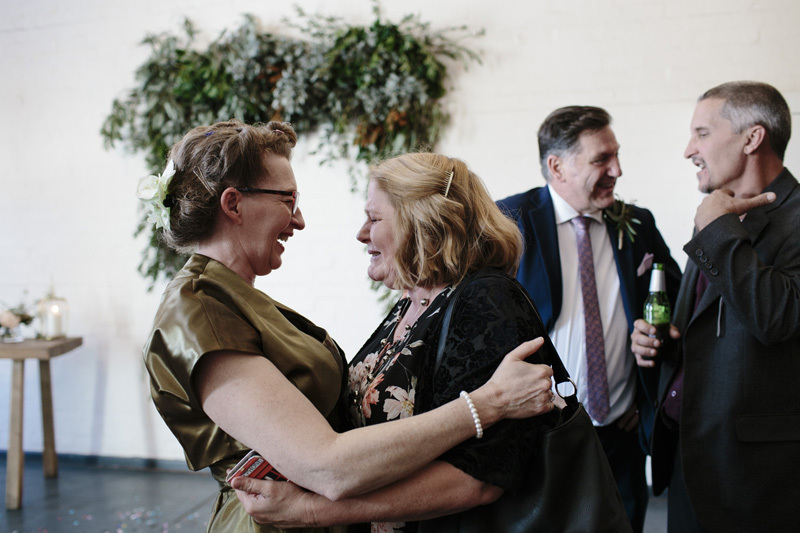 Hosting both their ceremony and reception in a warehouse situated adjacent to a shipping container yard gave the couple all the inspiration they needed to style the event. 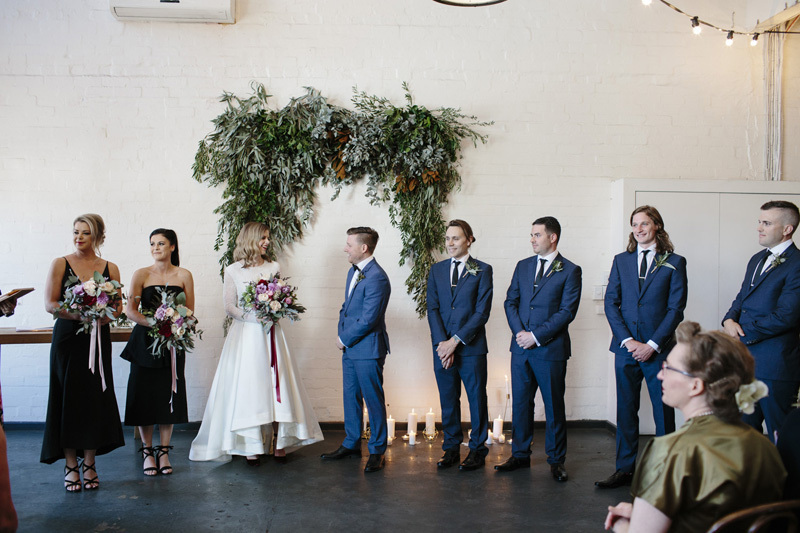 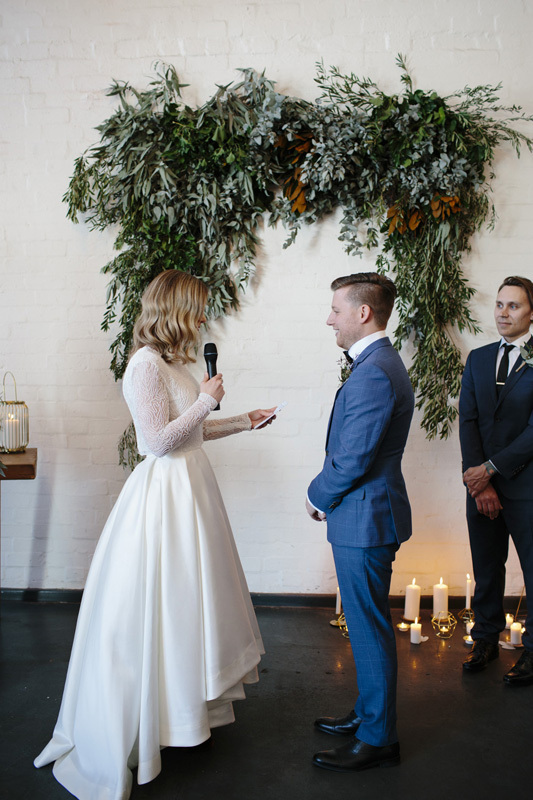 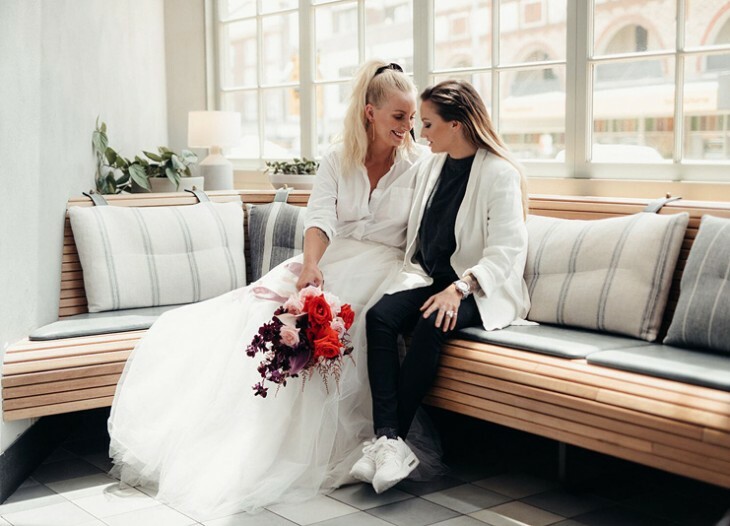 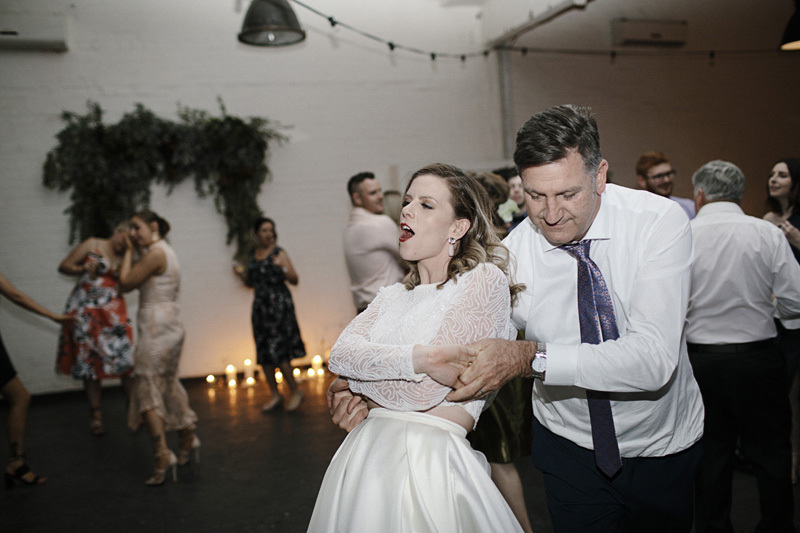 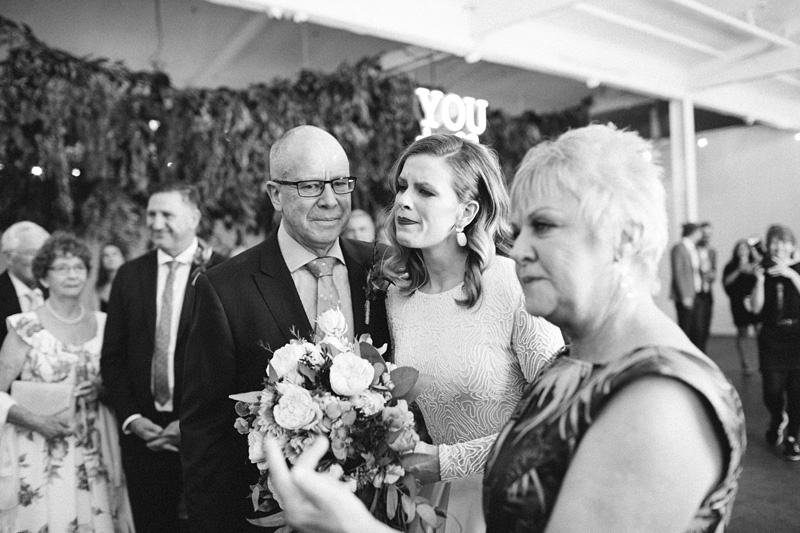 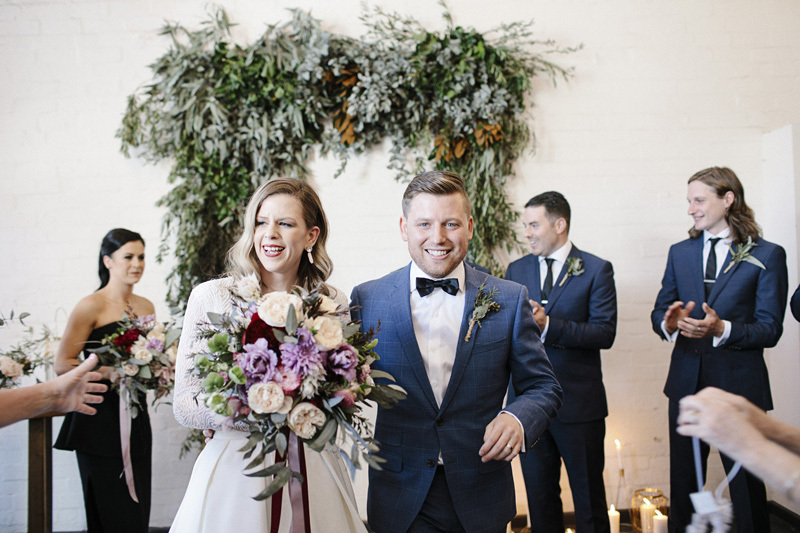 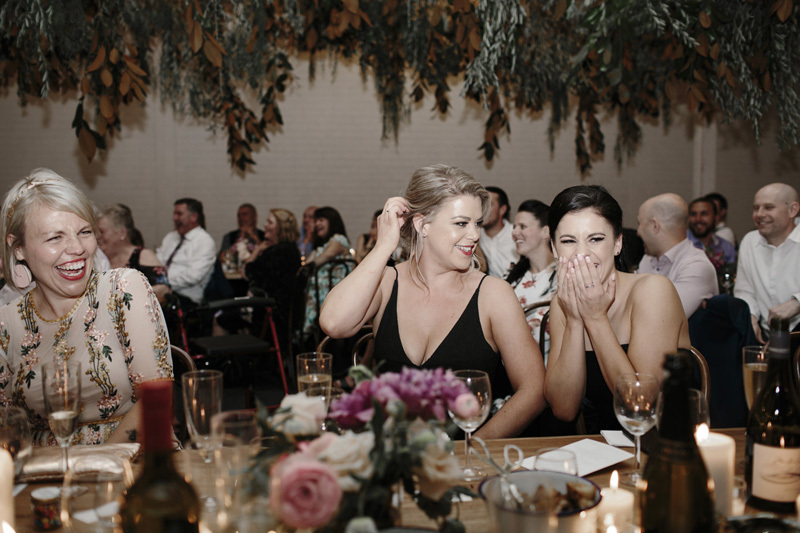 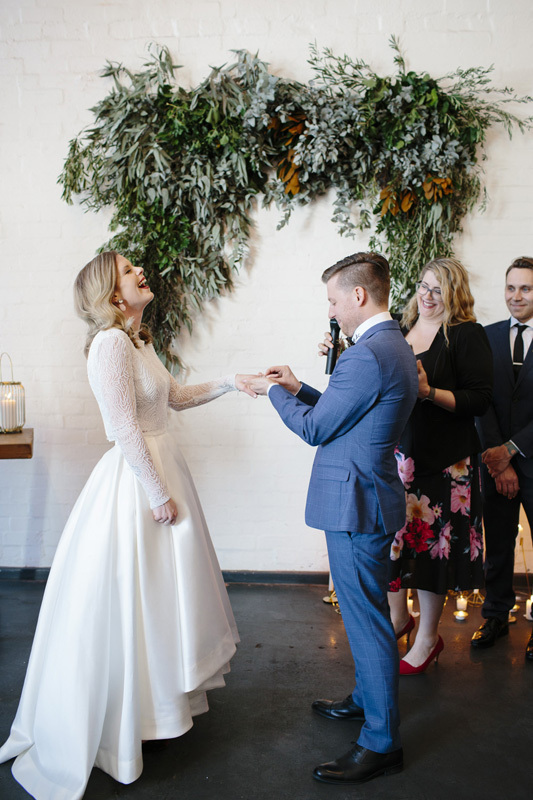 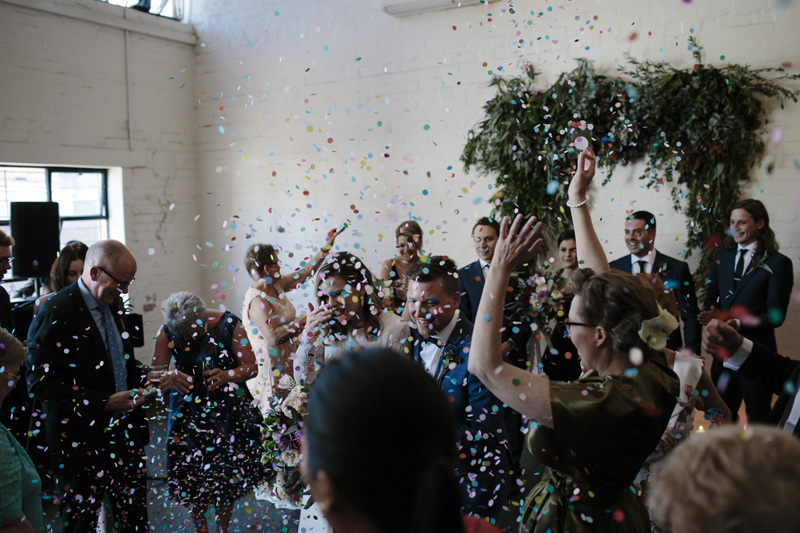 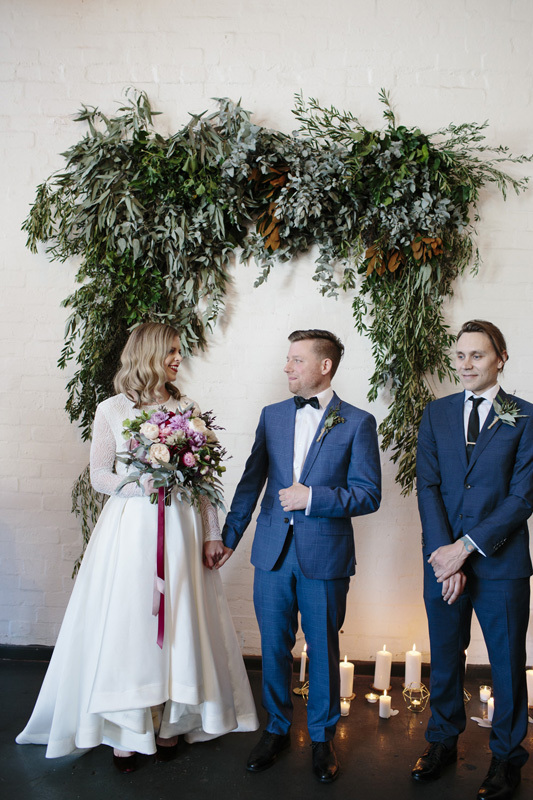 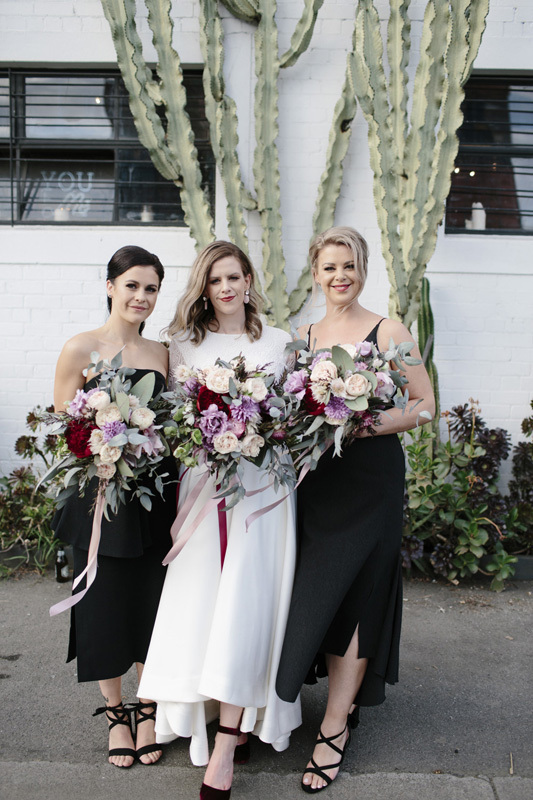 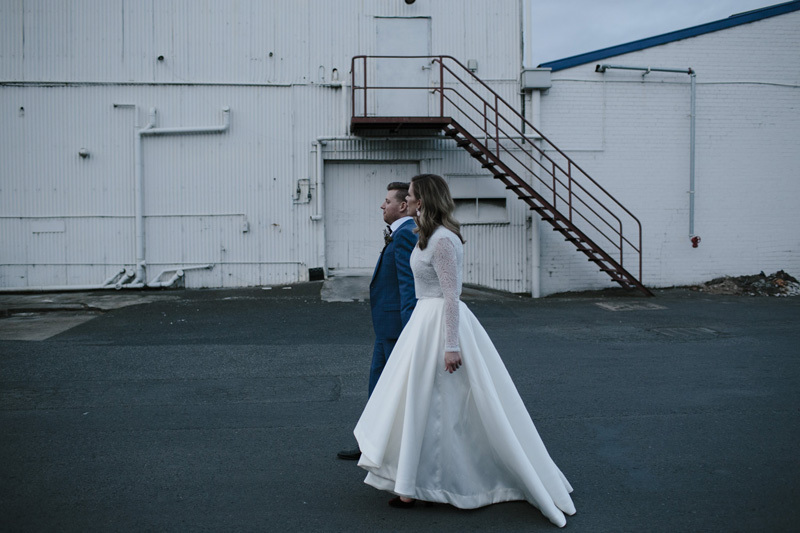 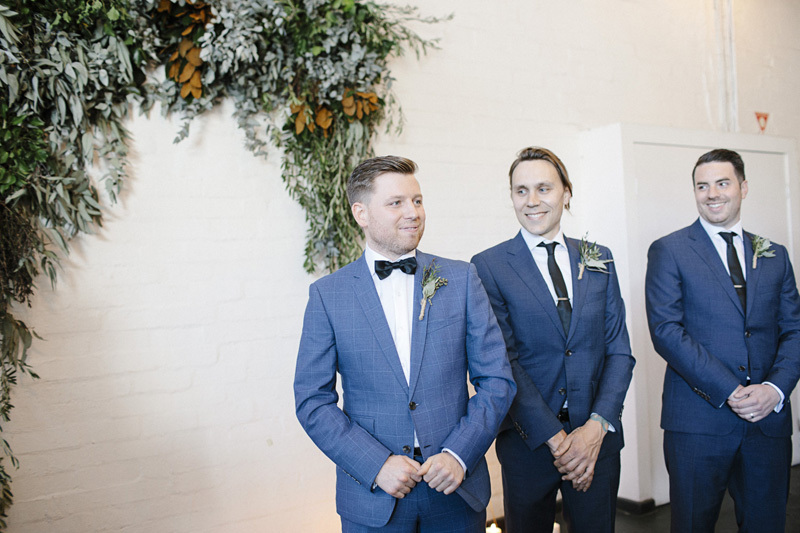 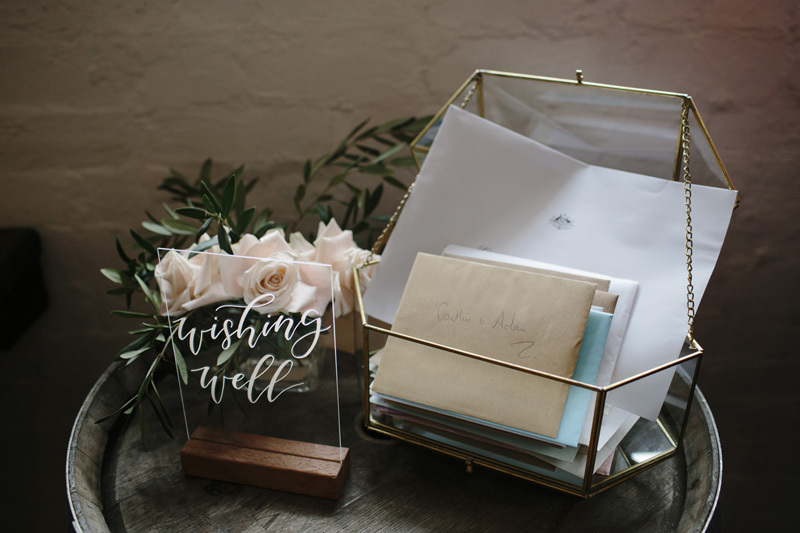 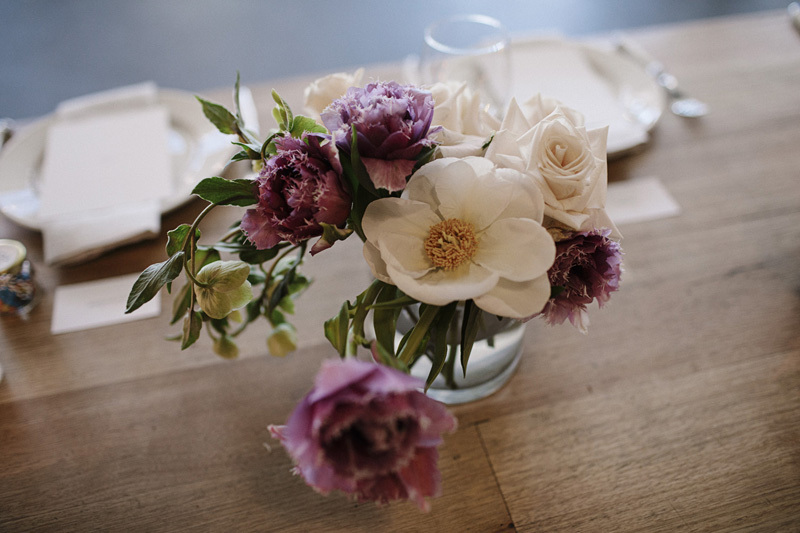 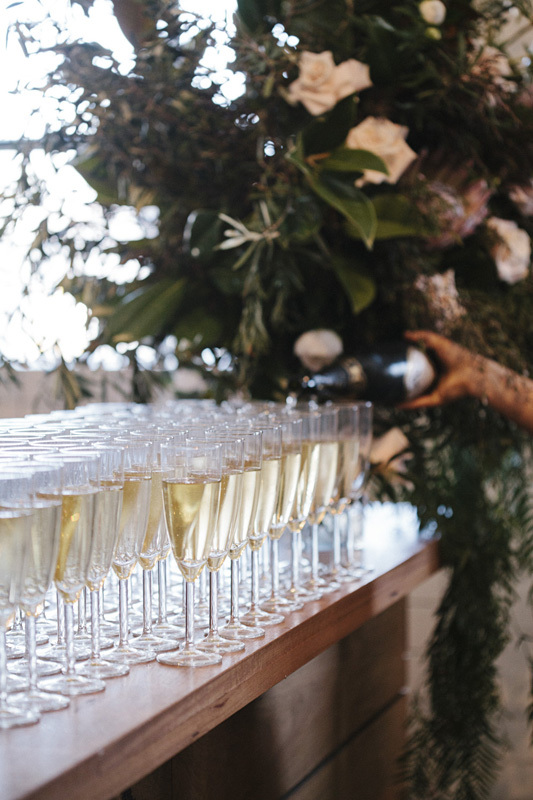 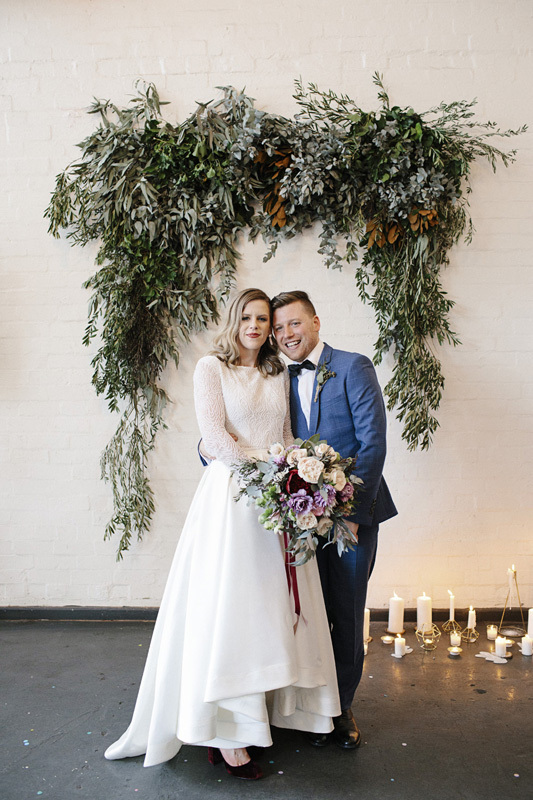 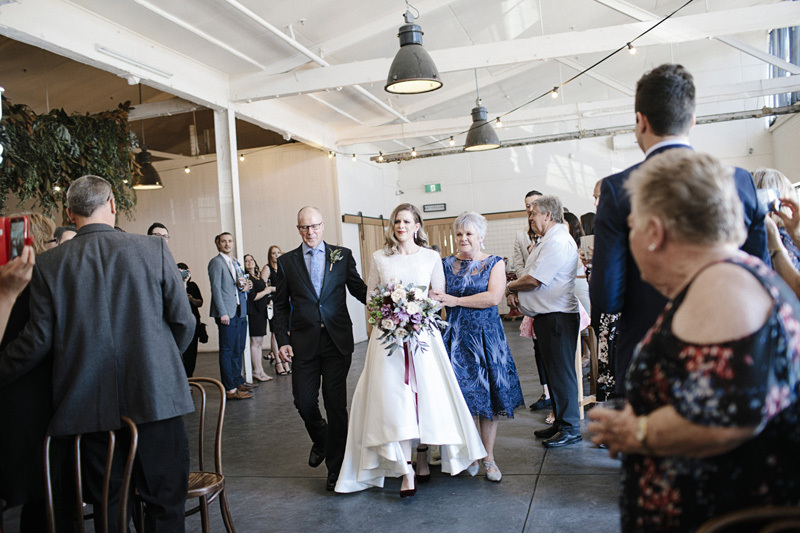 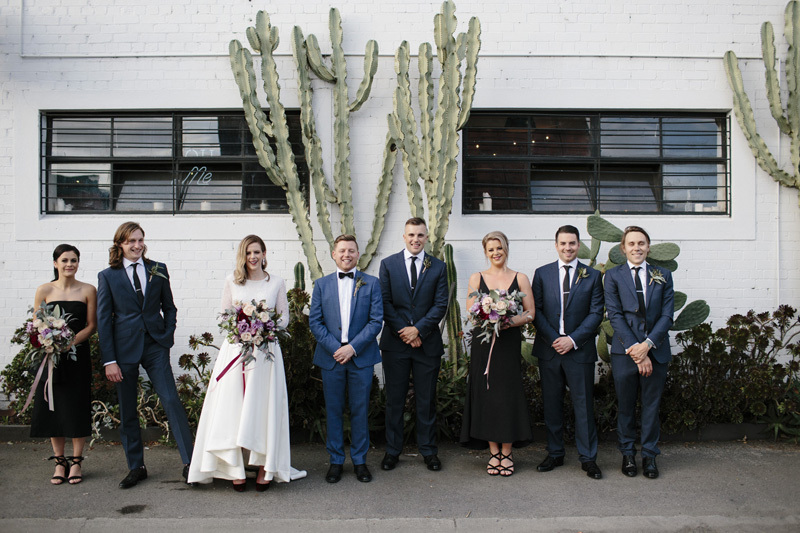 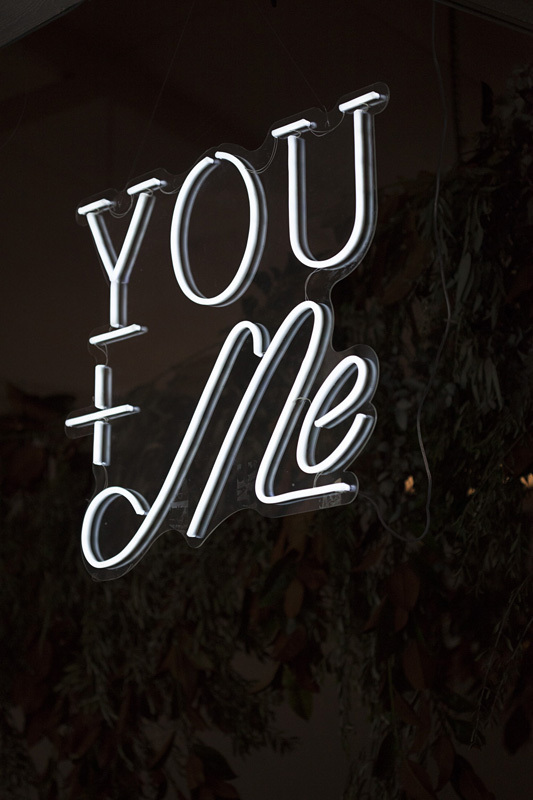 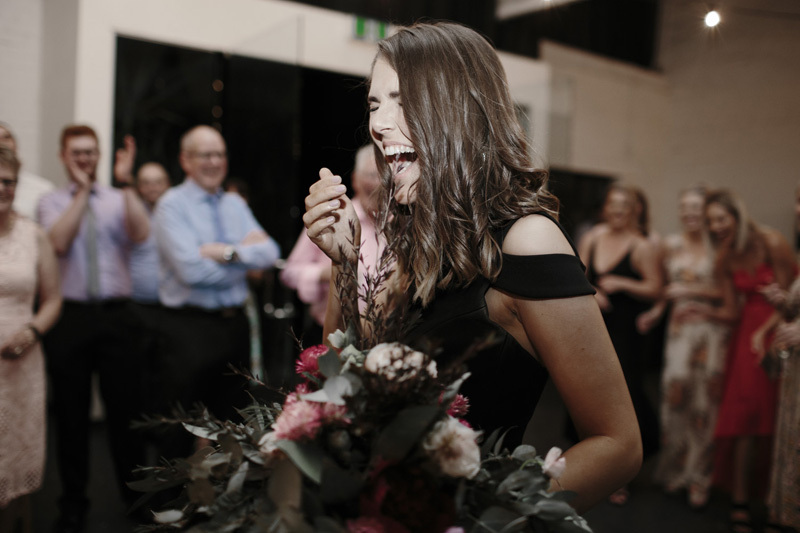 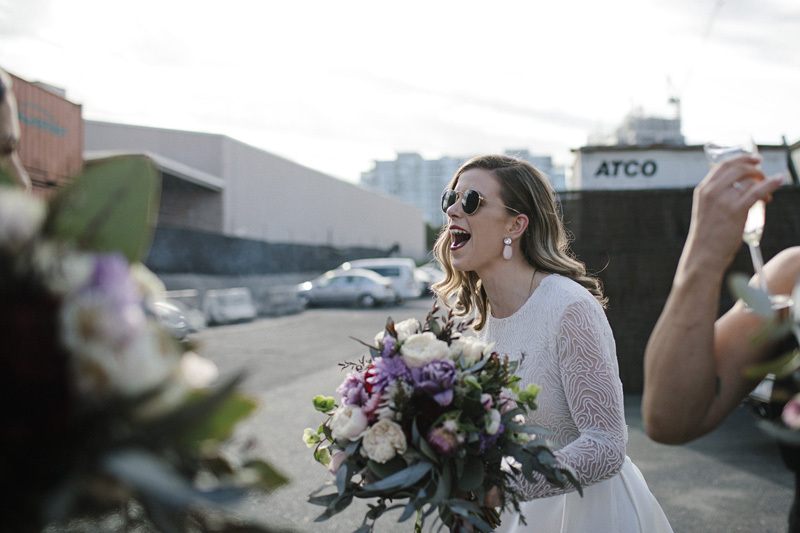 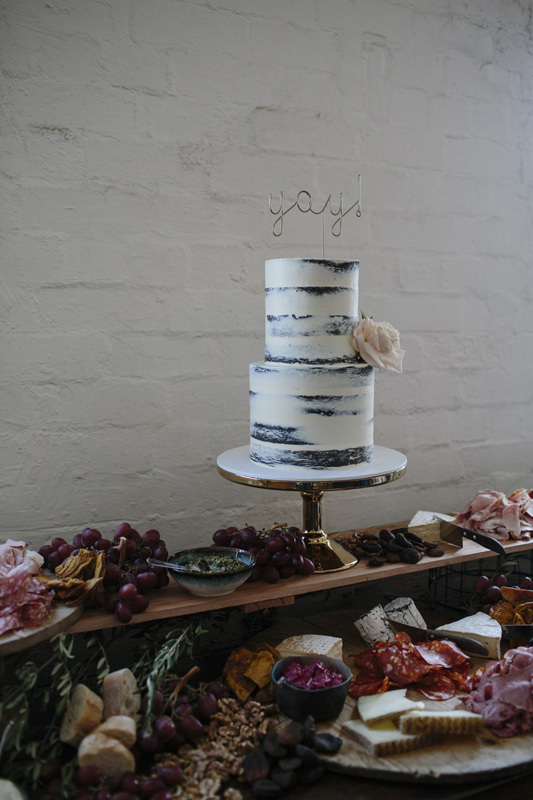 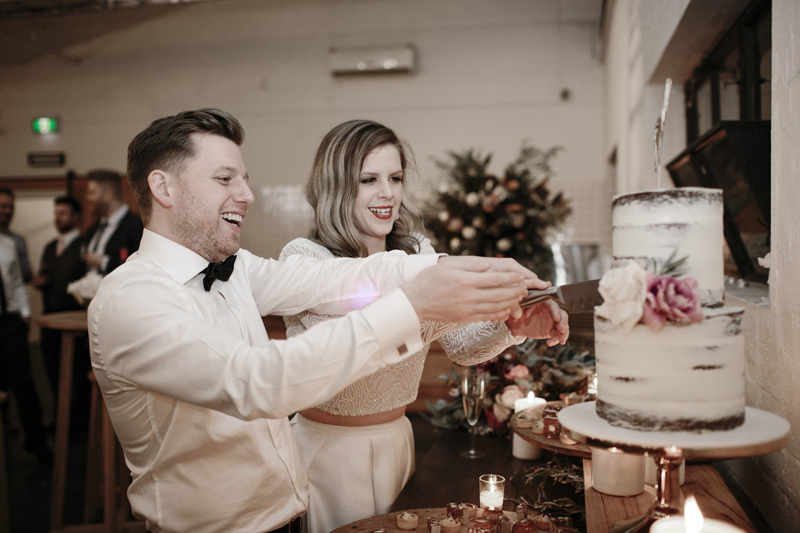 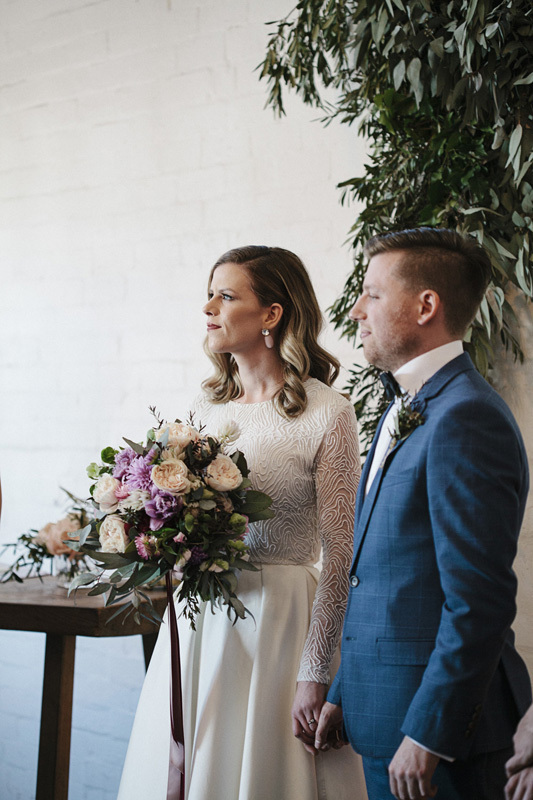 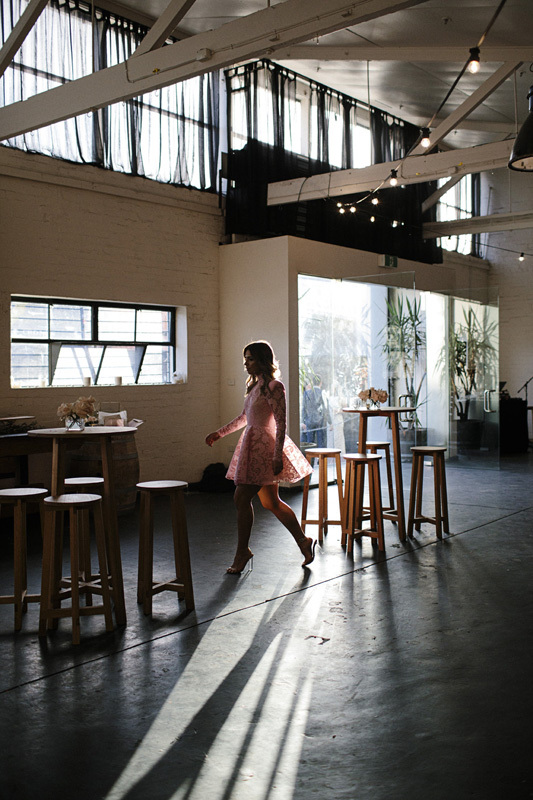 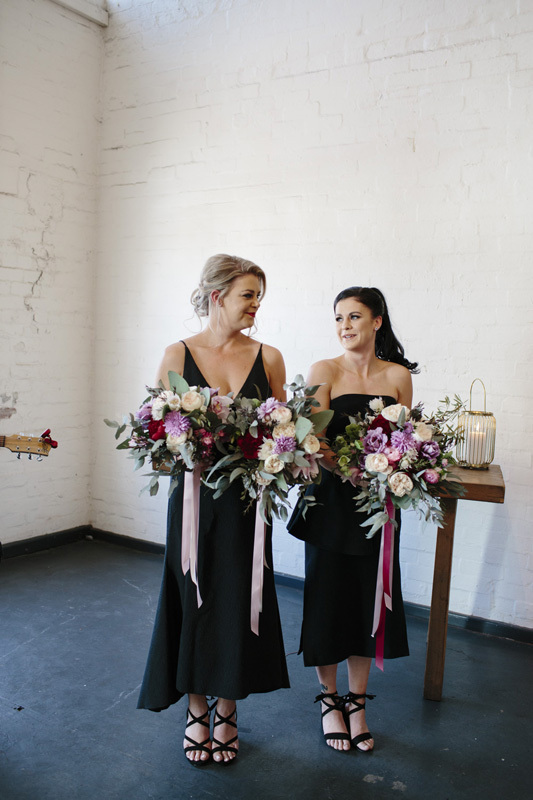 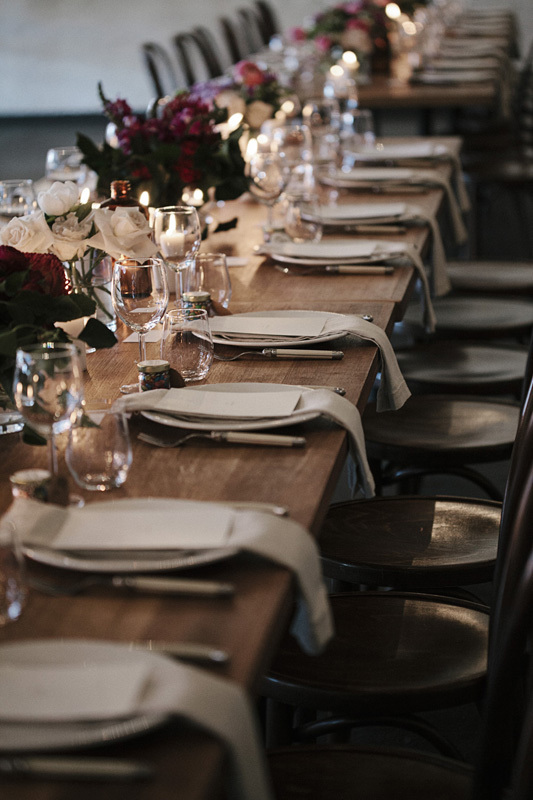 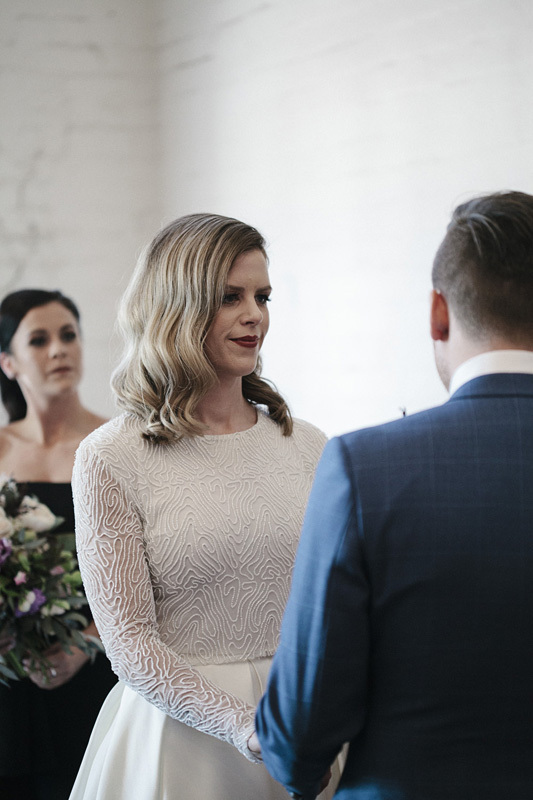 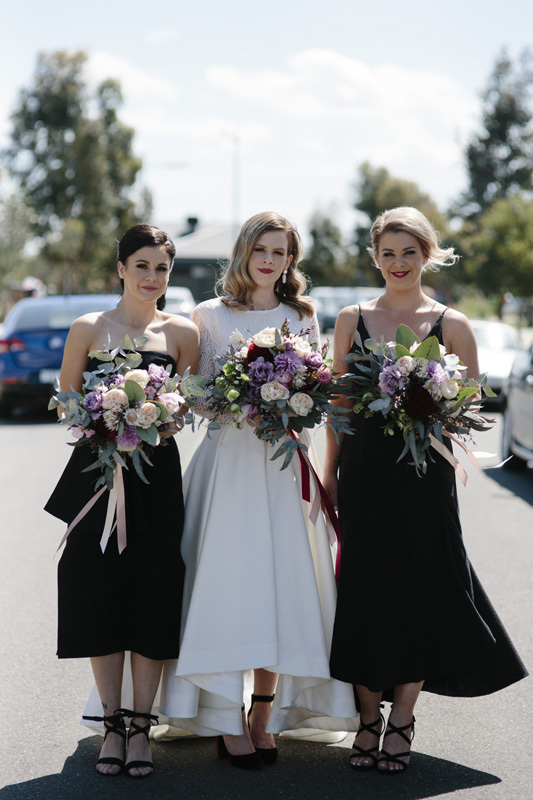 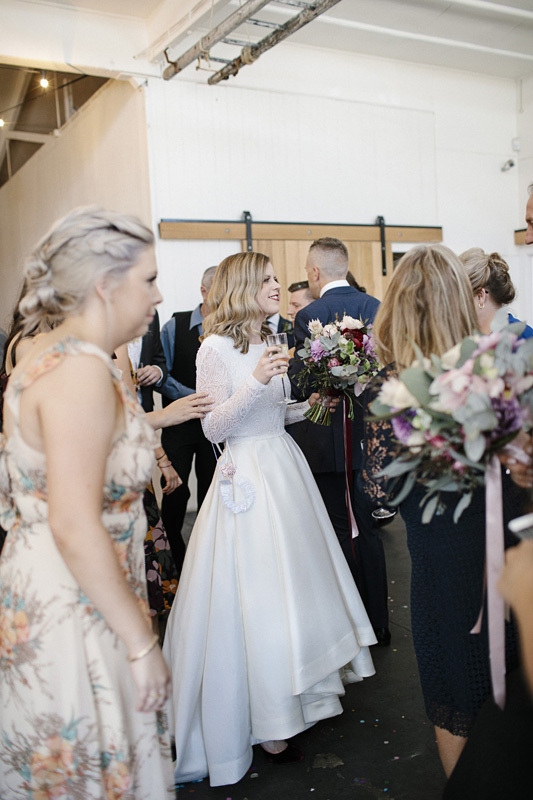 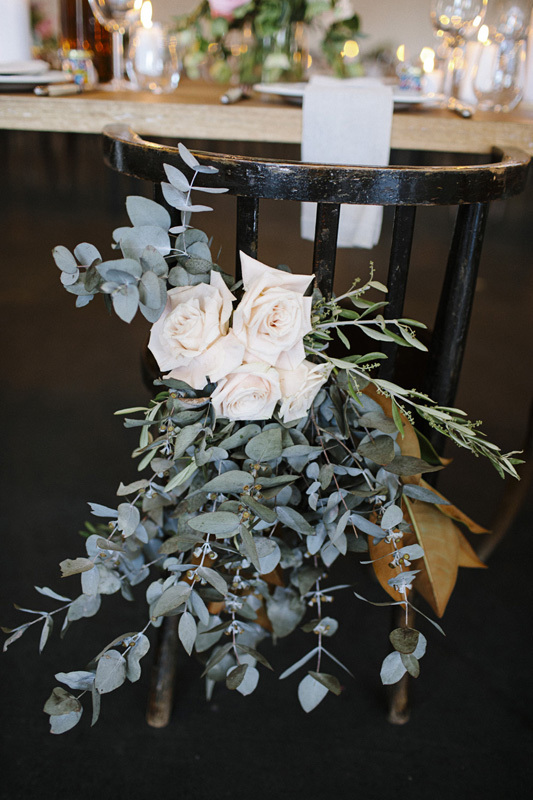 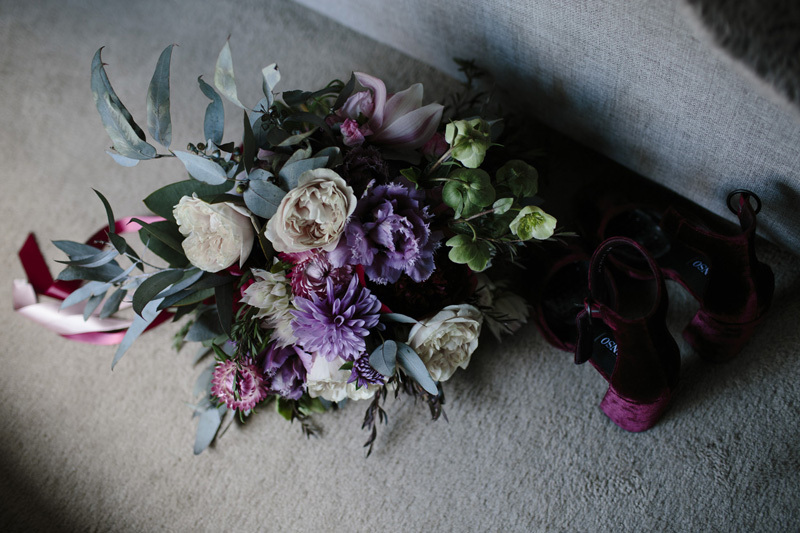 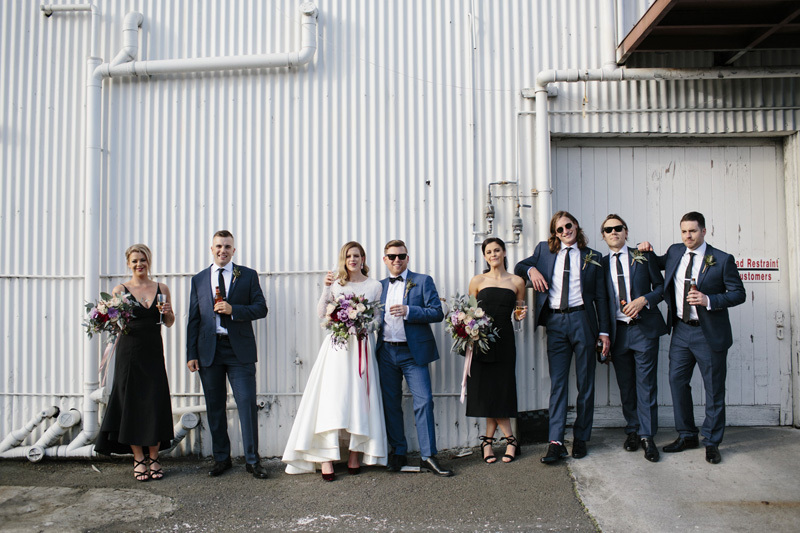 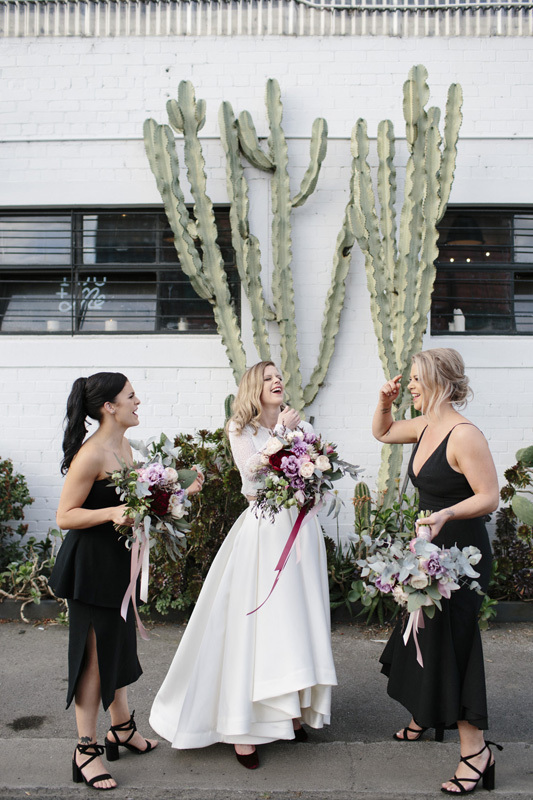 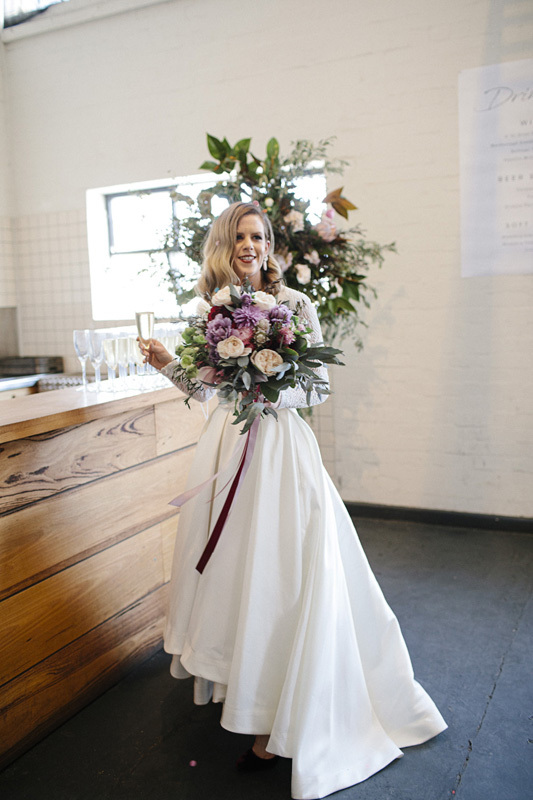 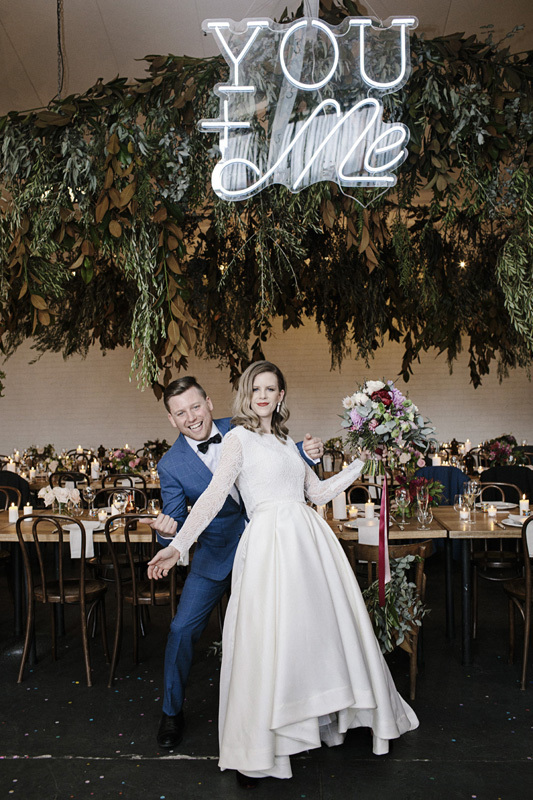 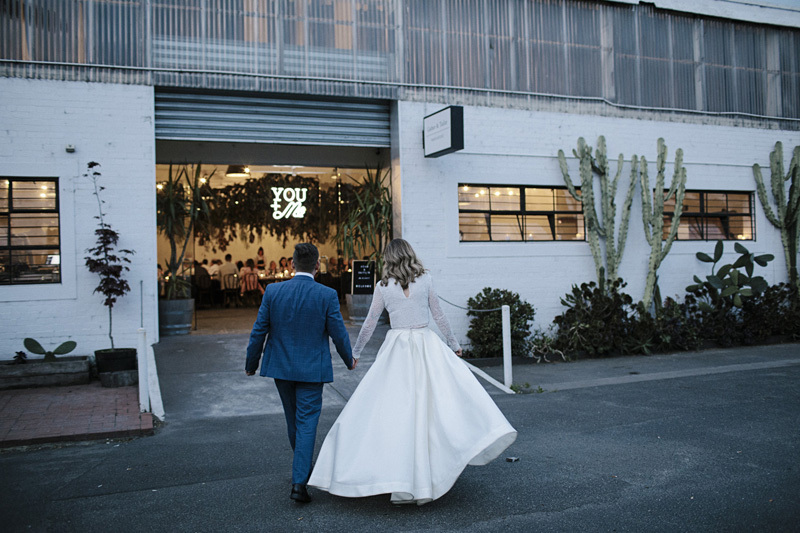 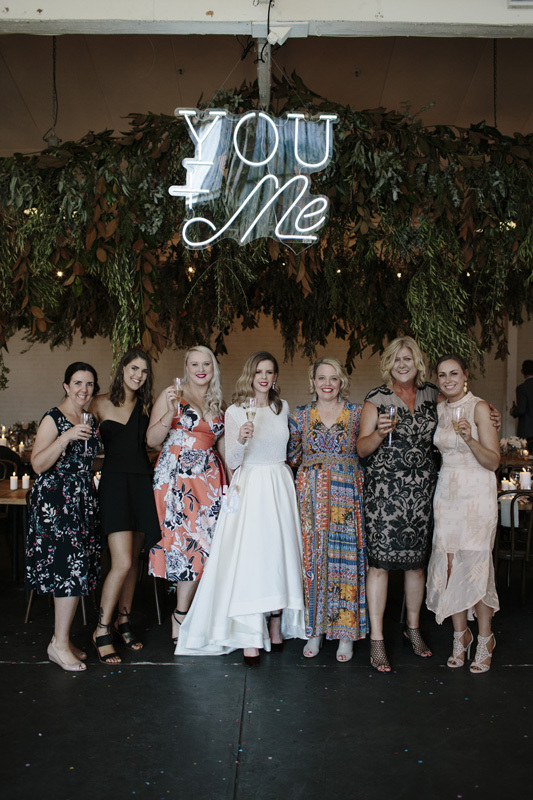 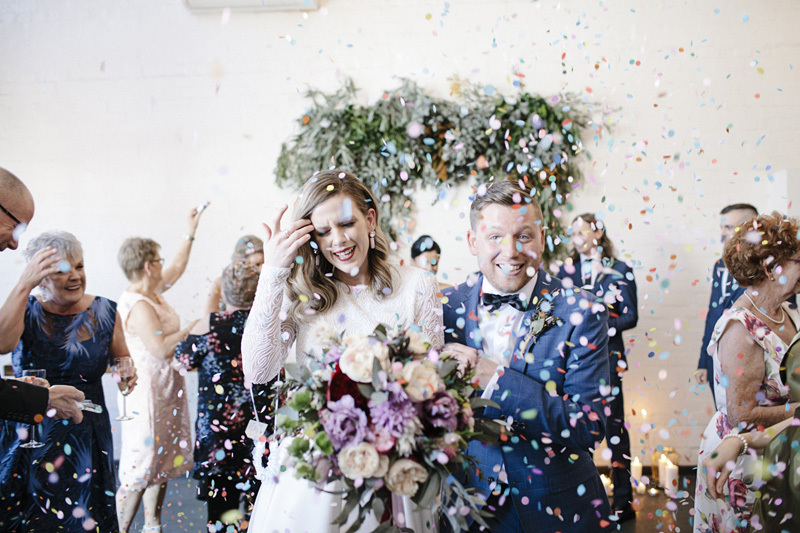 Given the wedding was never destined to be traditional, the couple decided to say their ‘I-Do’s’ at Gather & Tailor, a venue that takes the industrial aesthetic to the next level. 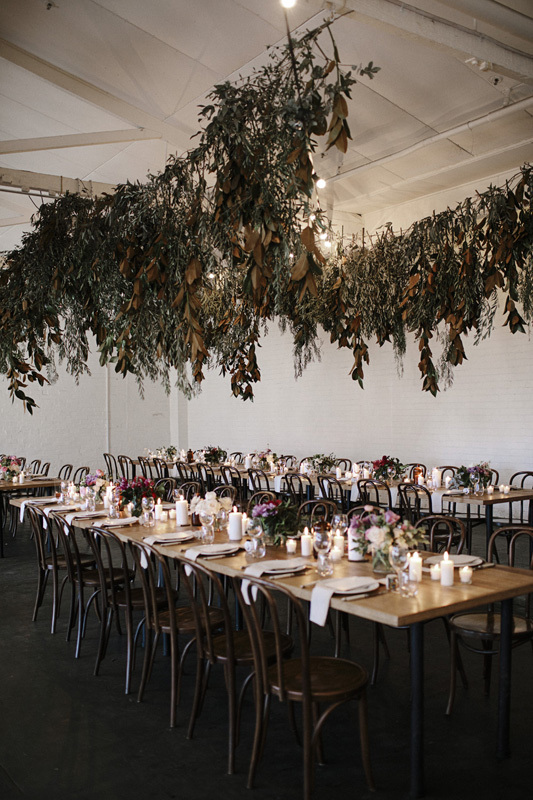 They softened the look of the space by hanging fresh foliage from the ceiling and placing florals like peonies, orchids, roses and native varieties on the tables. 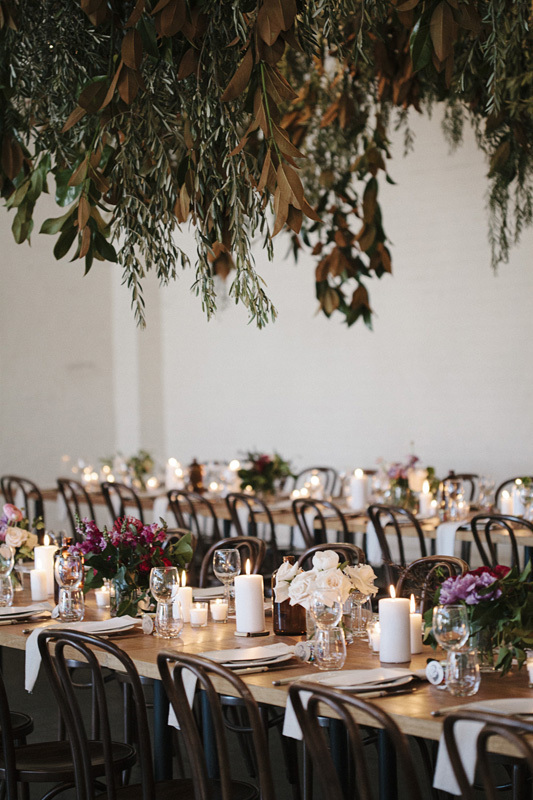 They also scattered hundreds of candles throughout the venue to ensure it felt warm and inviting. 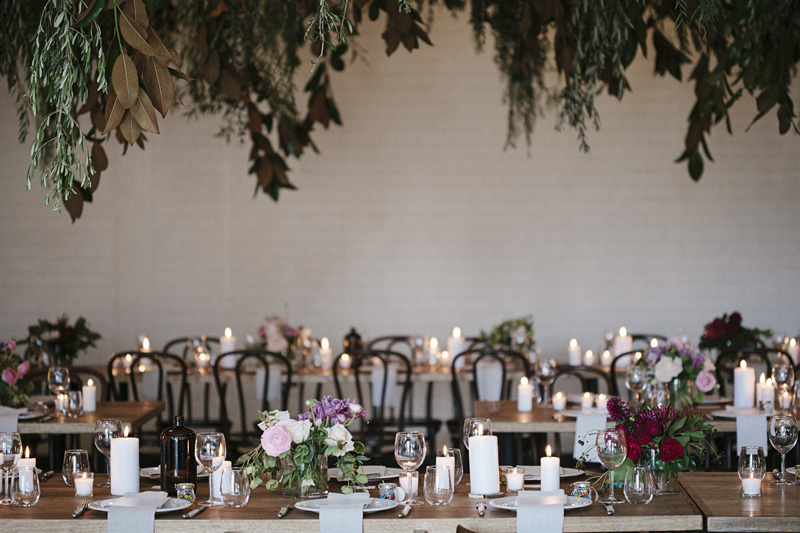 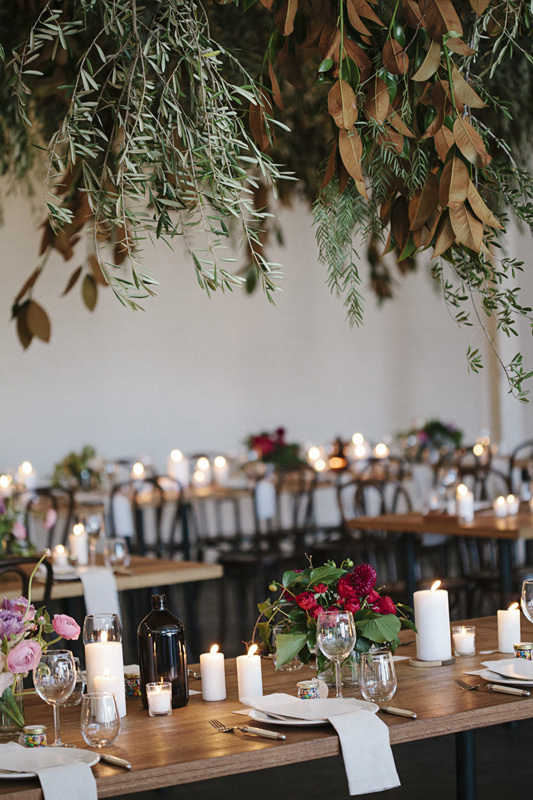 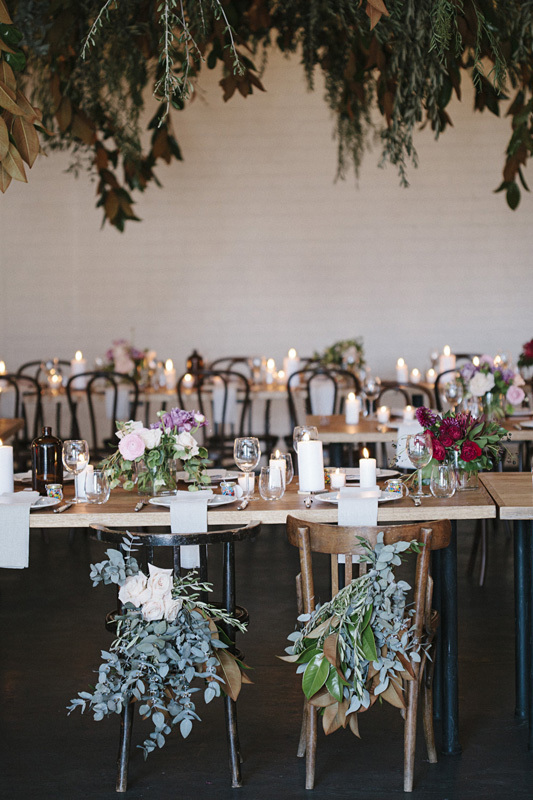 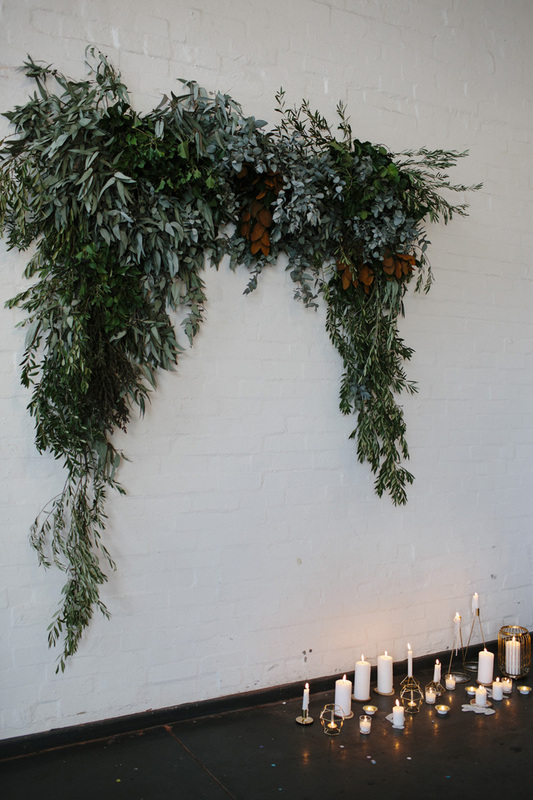 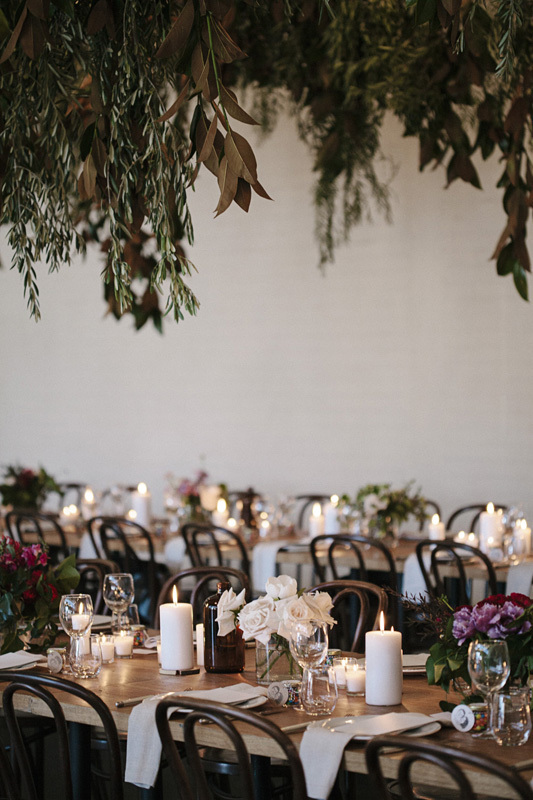 ‘I loved that the soft lighting of the candles, together with the greenery and hanging installations, juxtaposed the sharp industrial exterior of the venue. 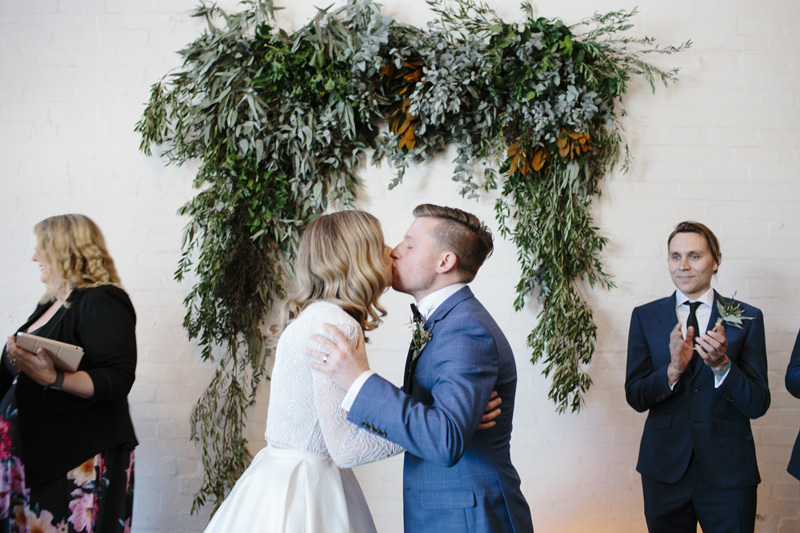 It really made for a nice surprise when you walked inside,’ says Caitlin. 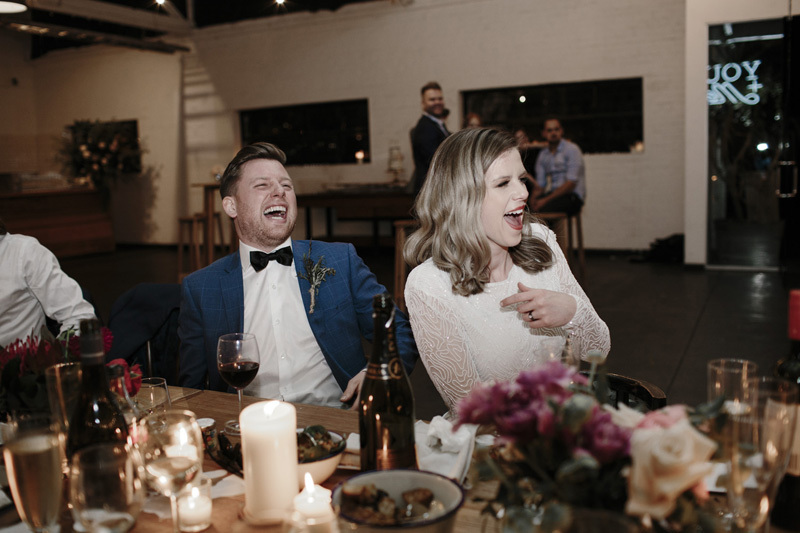 Apart from advising couples to do things their way, Adam and Caitlin have a piece of crucial advice of others planning their big day. 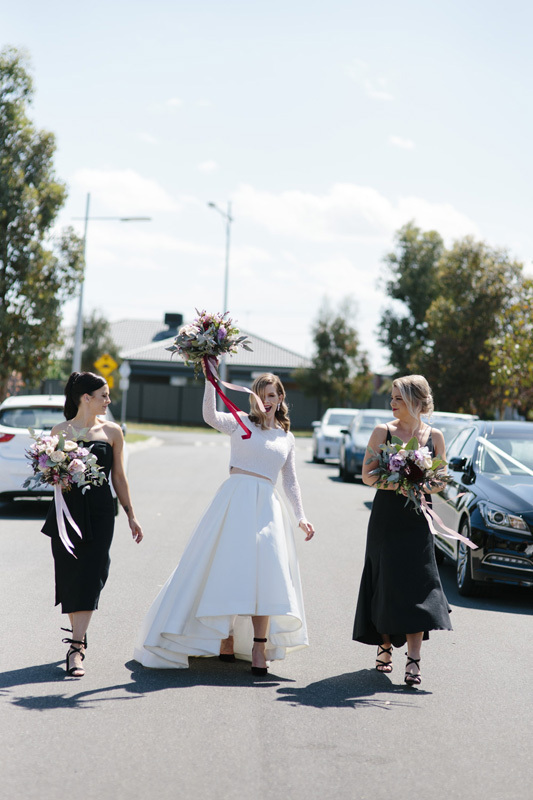 ‘Find a great photographer for your day! 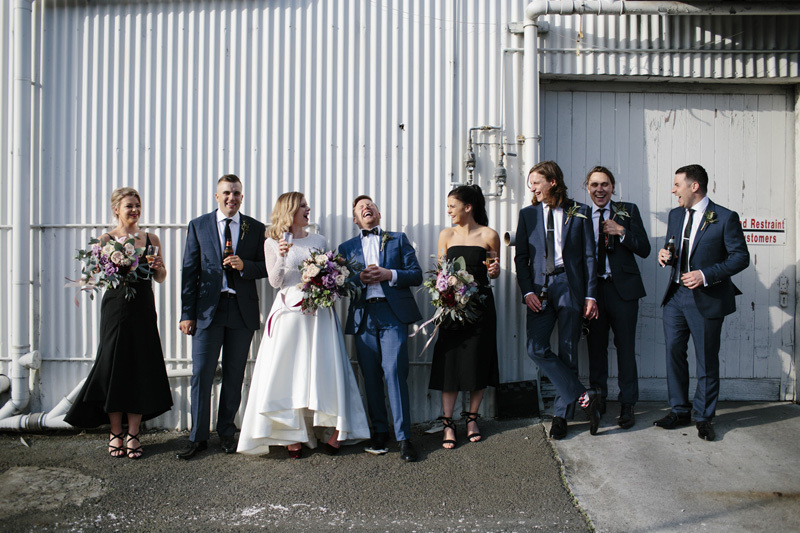 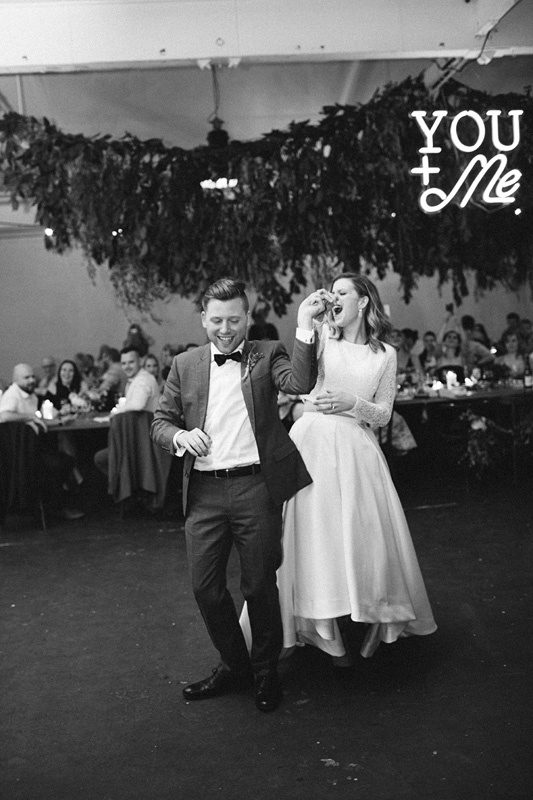 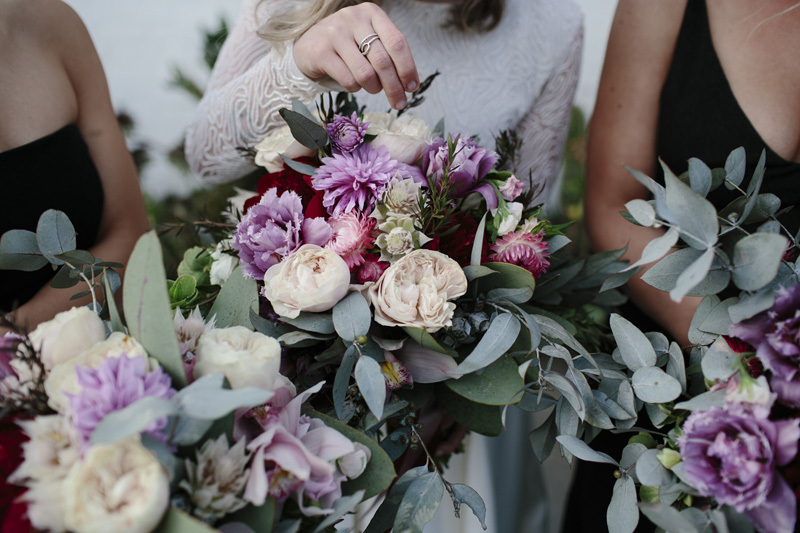 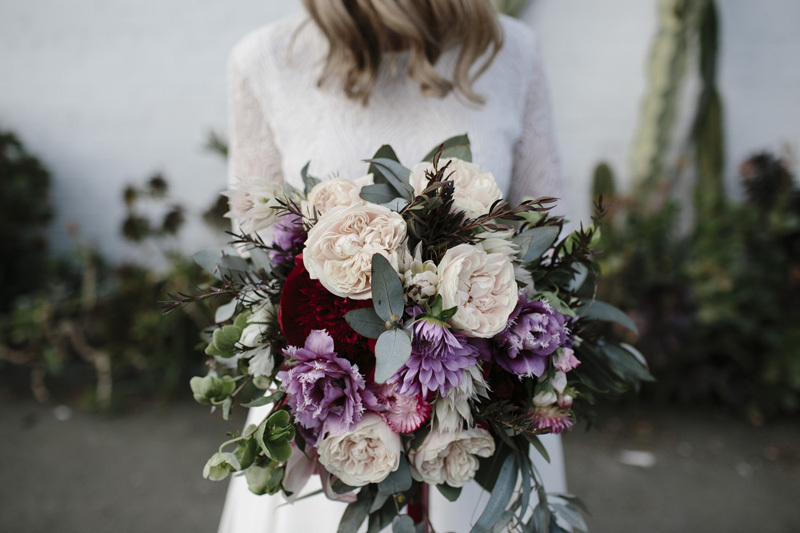 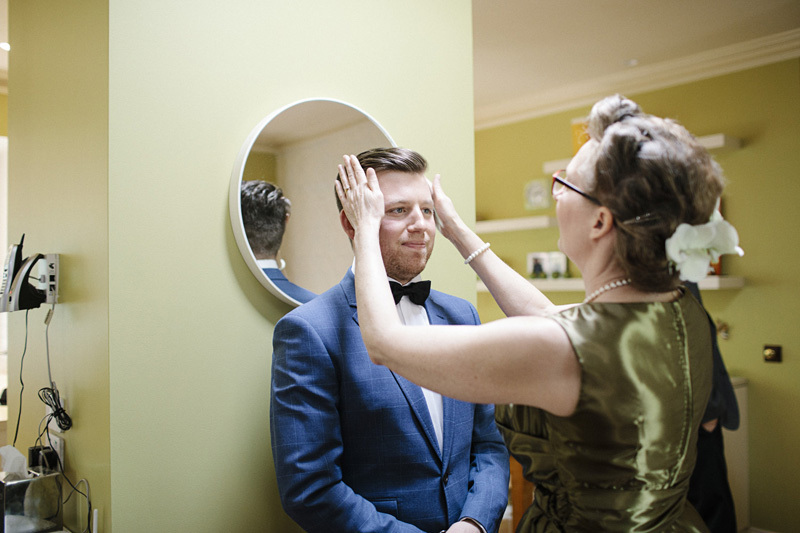 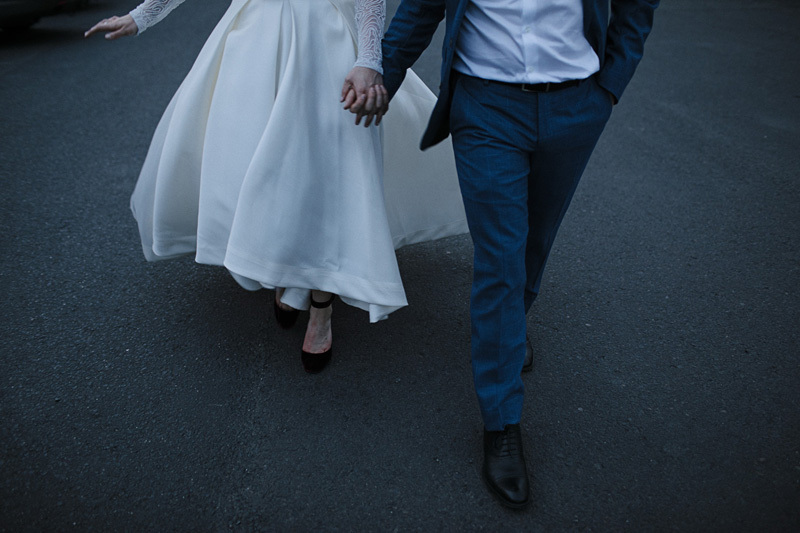 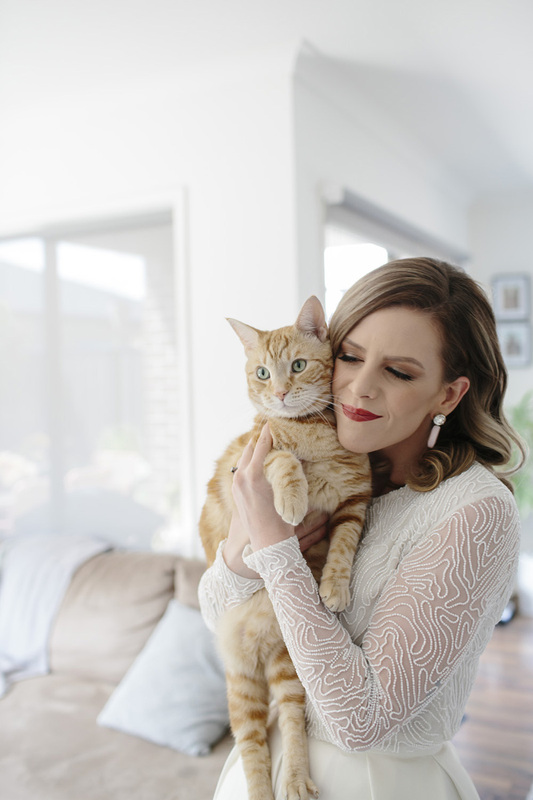 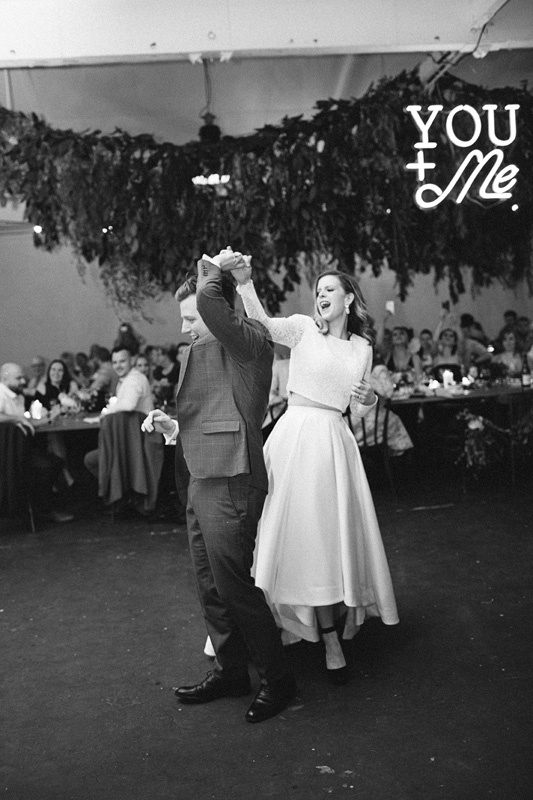 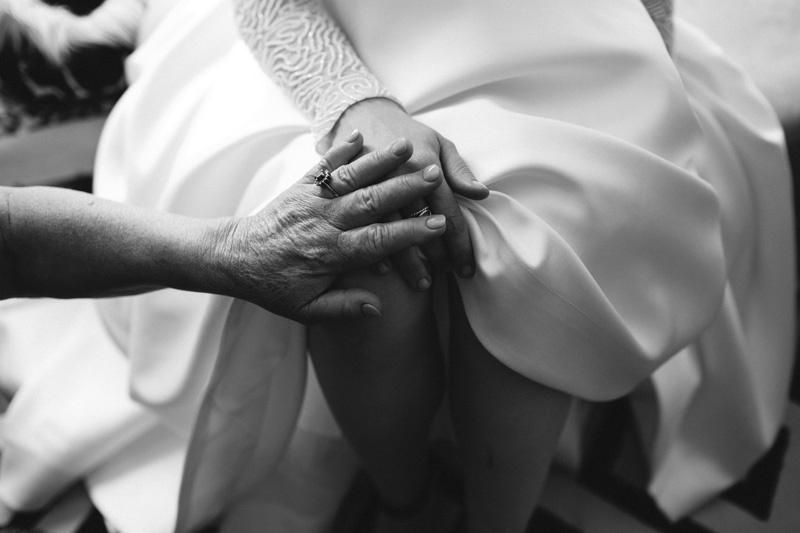 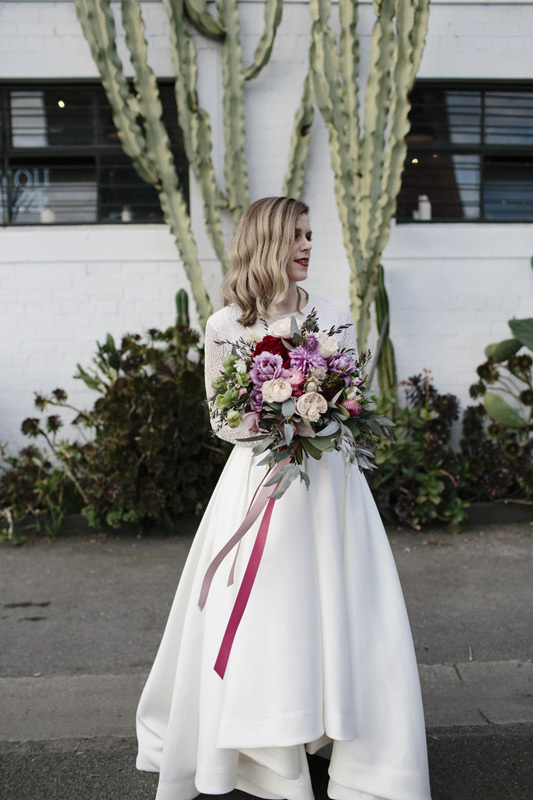 Look at wedding blogs, Instagram – anything really – and choose a photographer whose style you love,’ explains Caitlin. 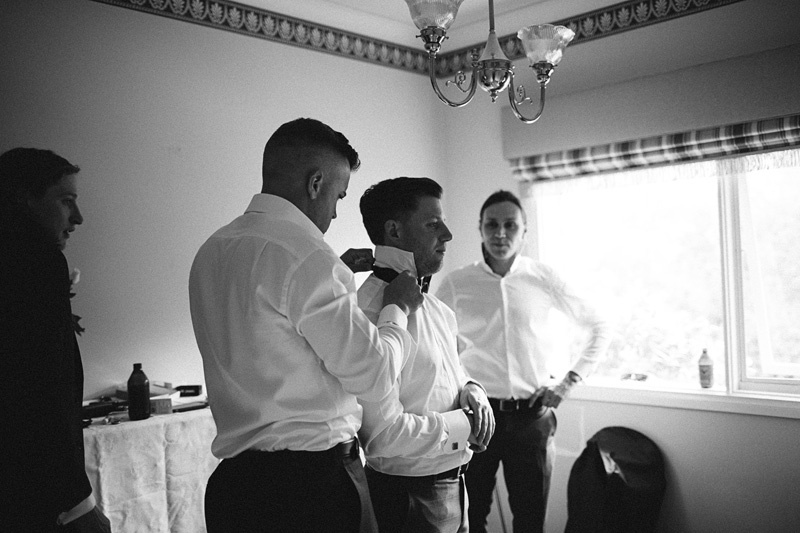 ‘I can honestly say that picking experienced photographers whose work we loved was the best decision we made. 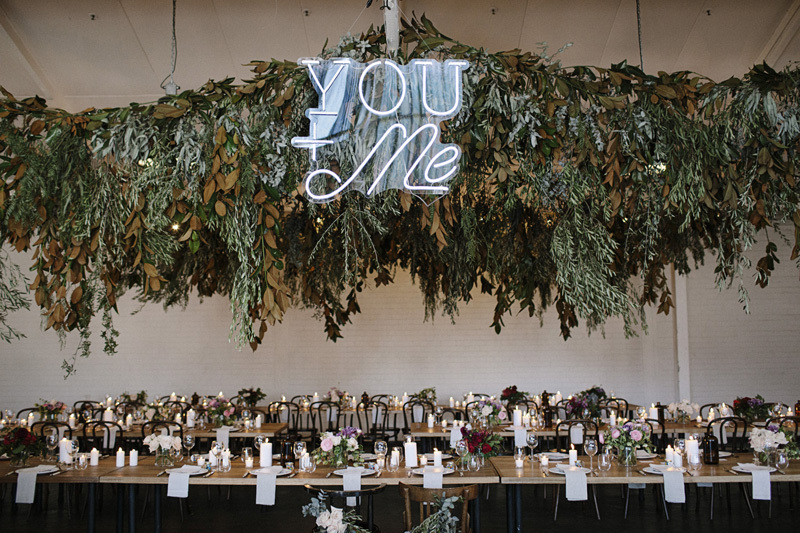 Looking for vendors for your own event? 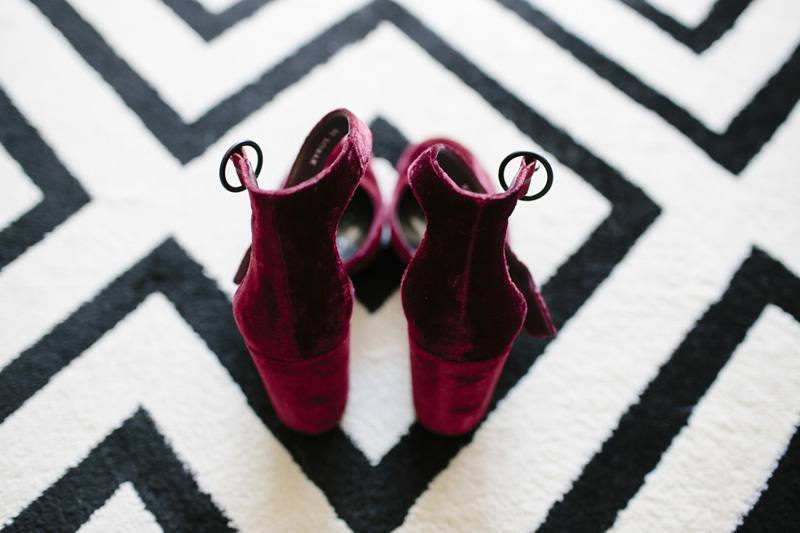 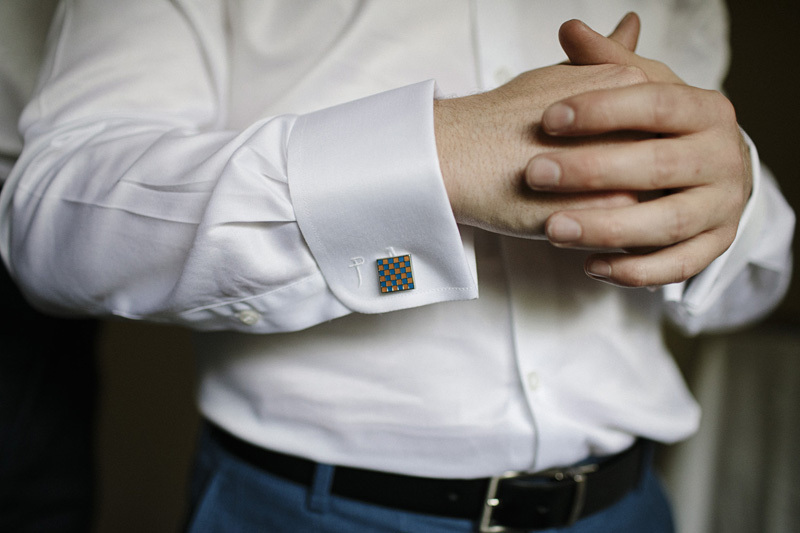 Head to our Vendor Guide to see our top picks!